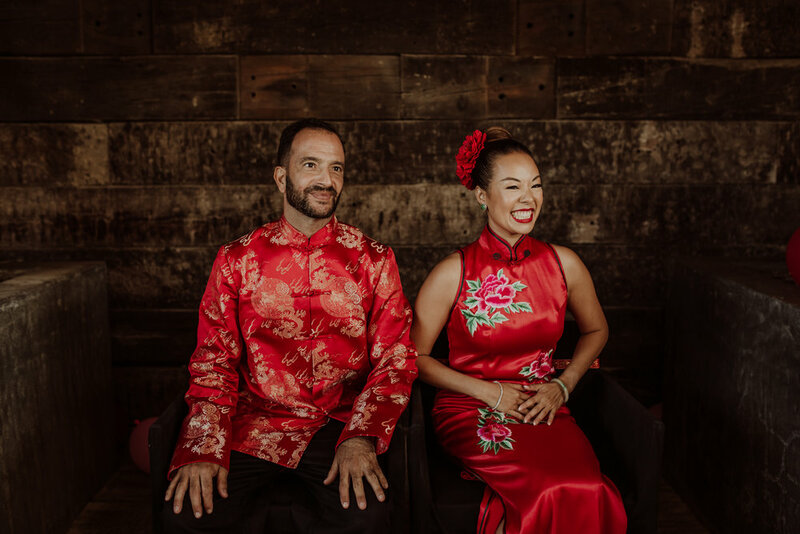 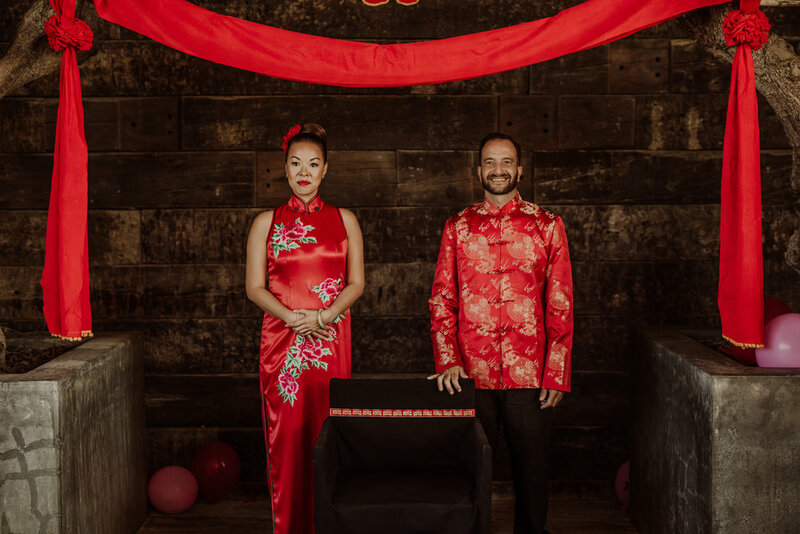 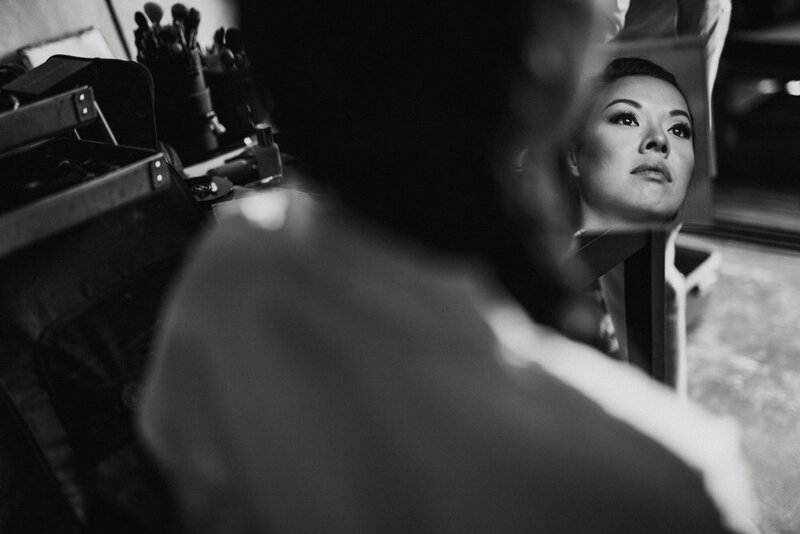 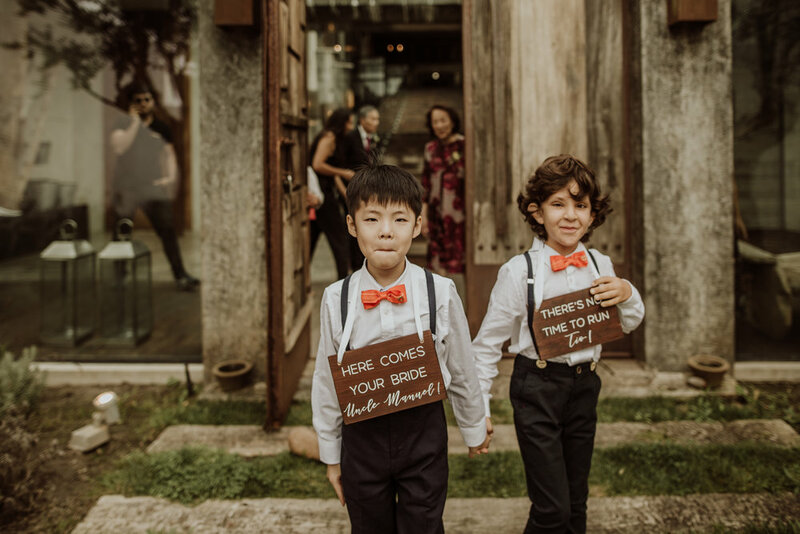 We are so excited to share with you the story of Yan and Manuel. 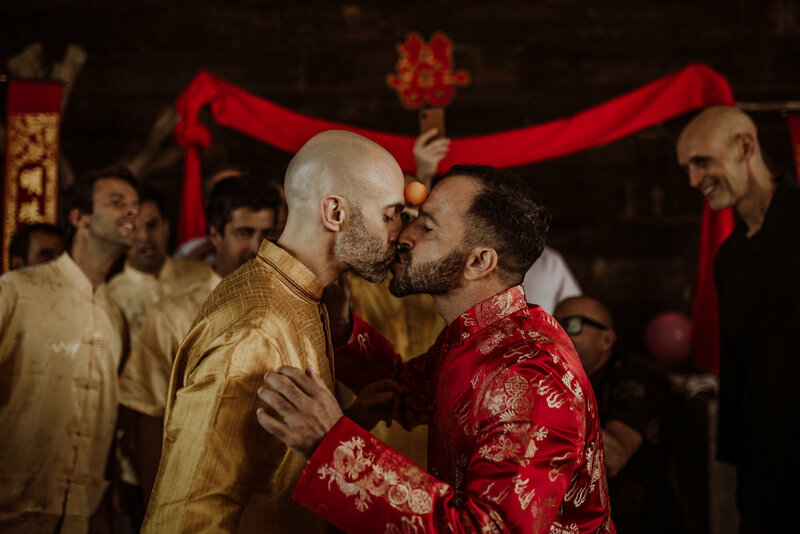 We could (and have tried) summarize this post, but it was impossible to summarize so many key moments in few images. 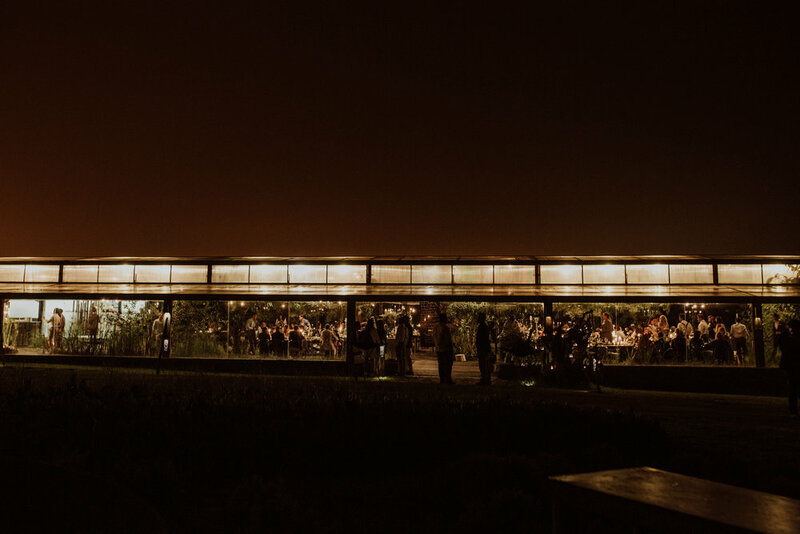 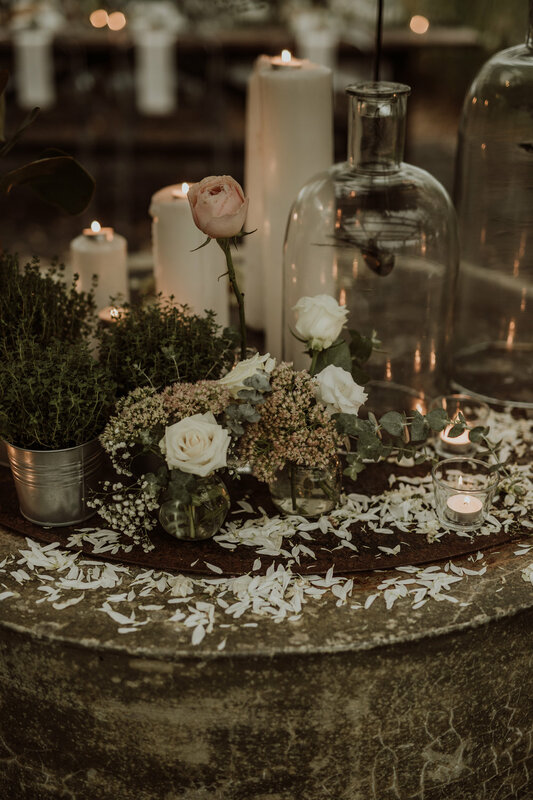 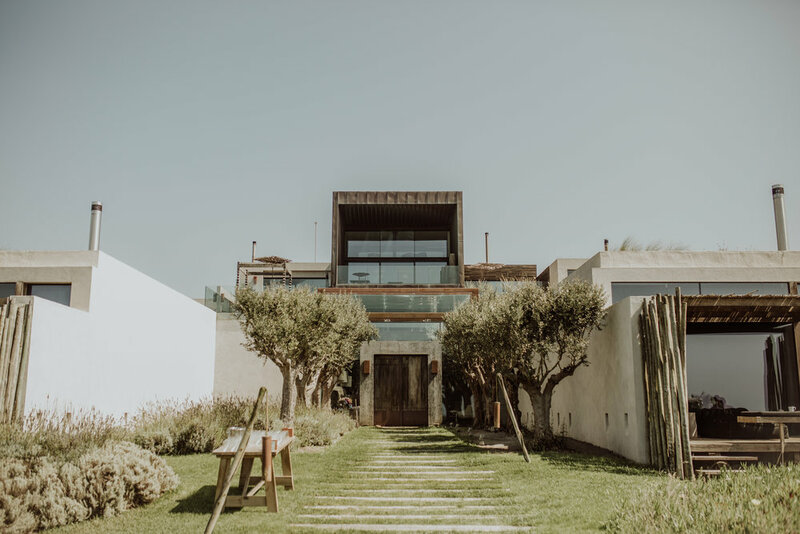 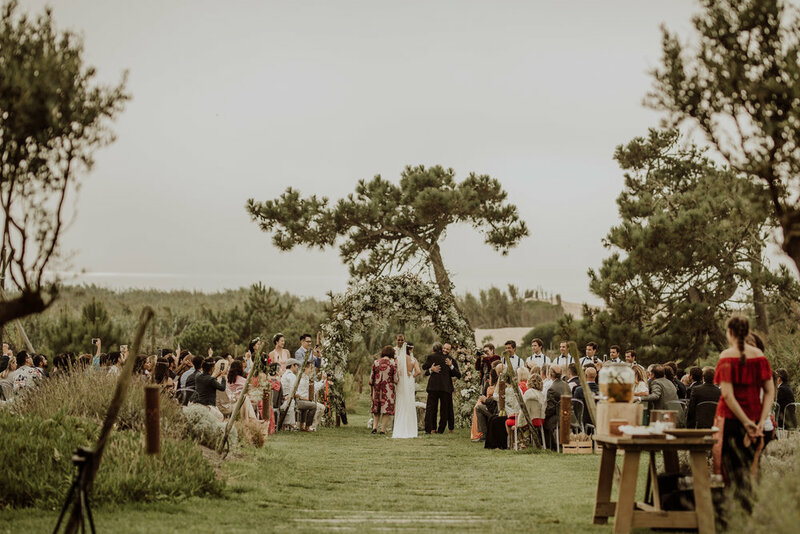 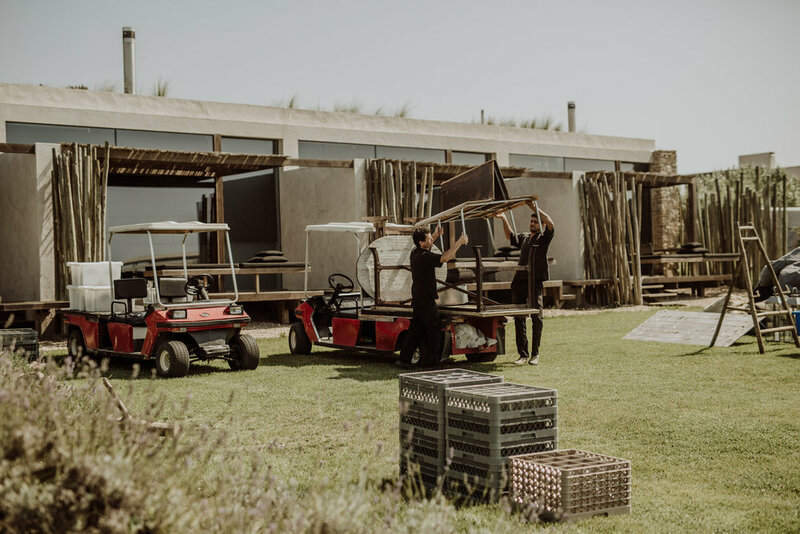 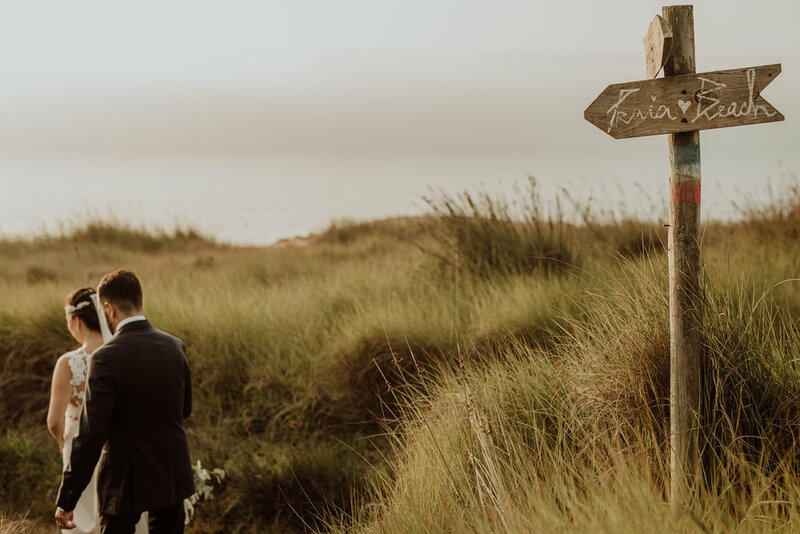 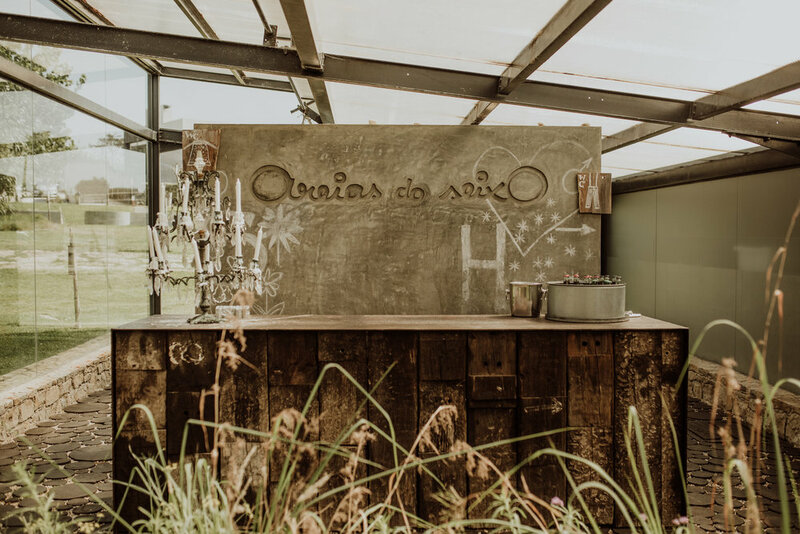 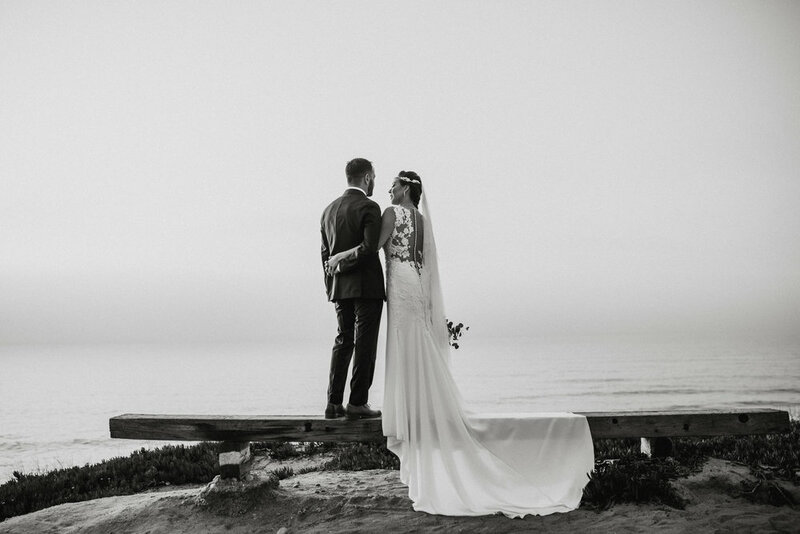 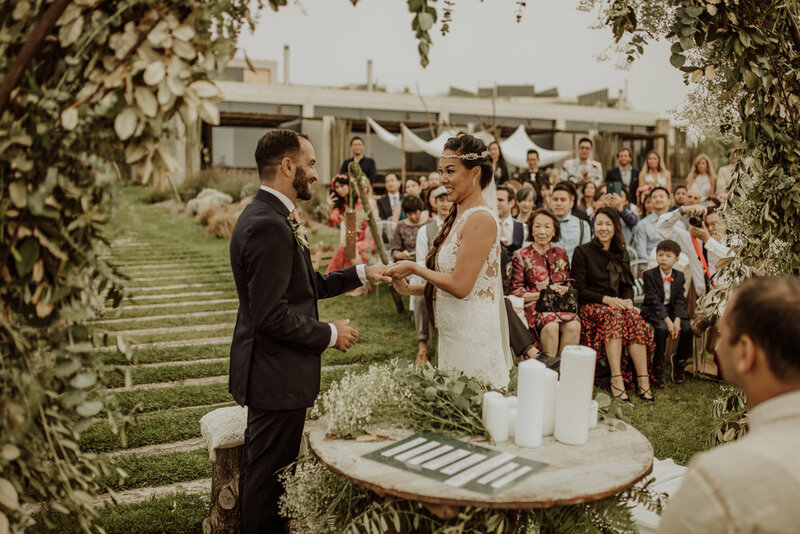 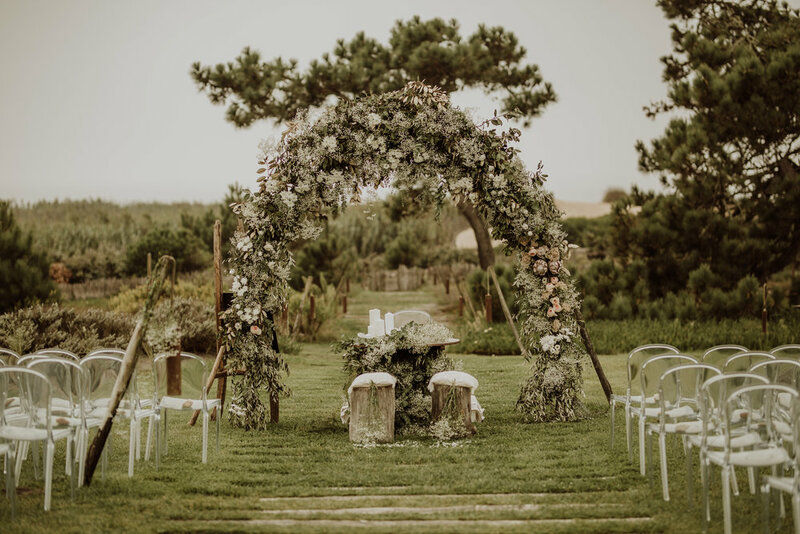 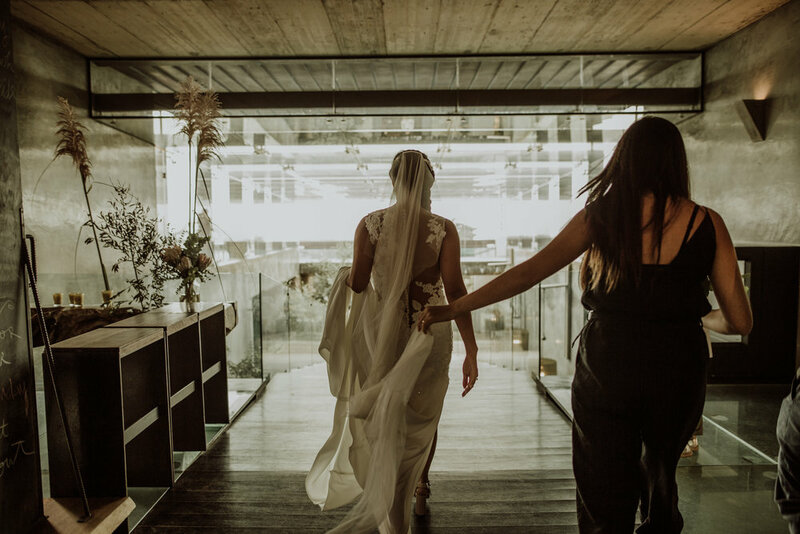 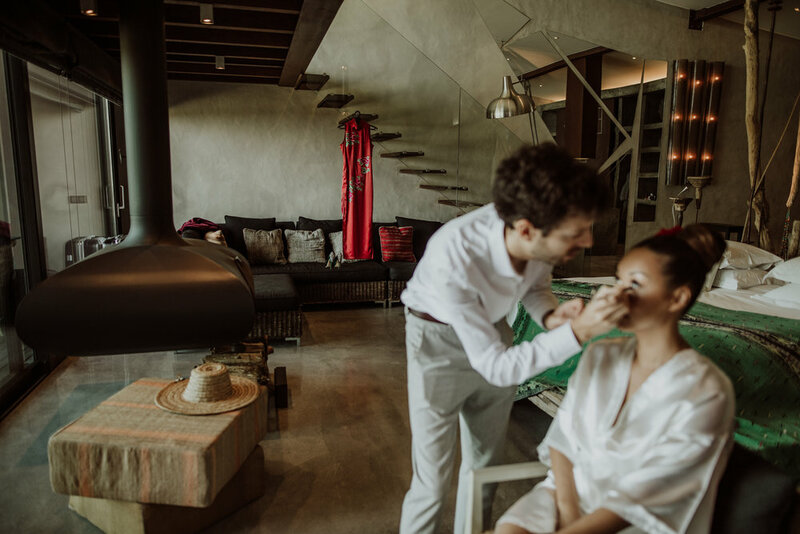 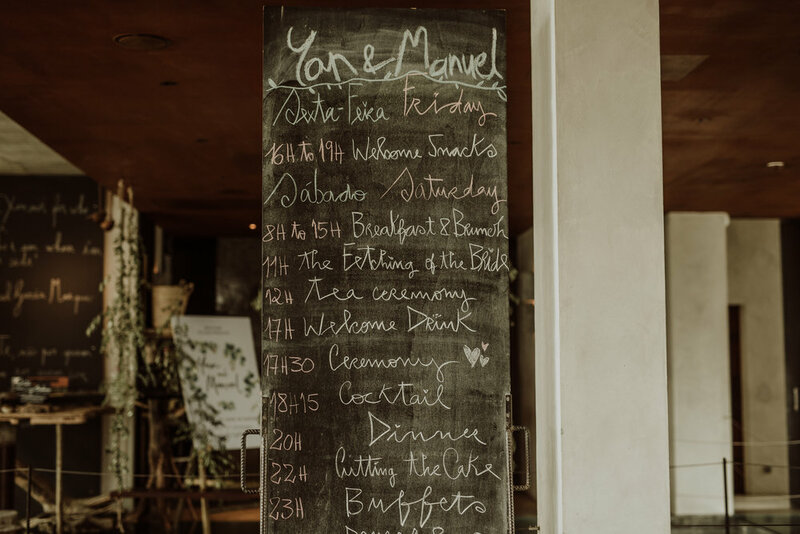 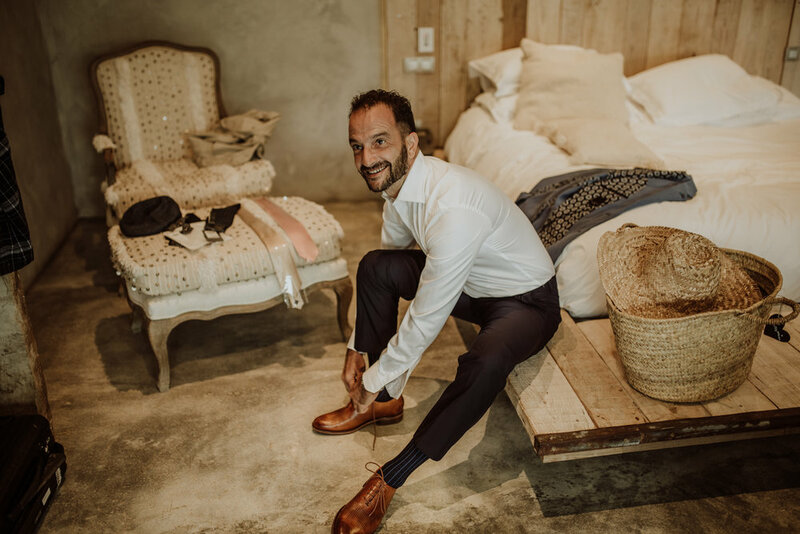 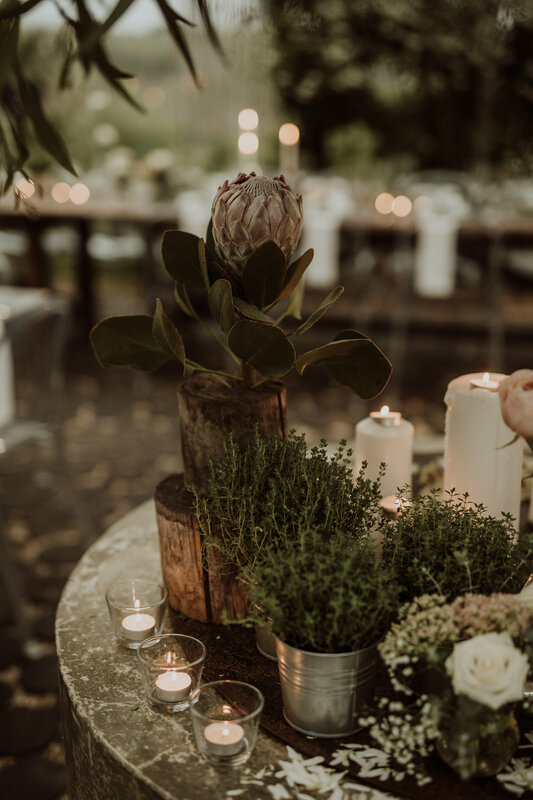 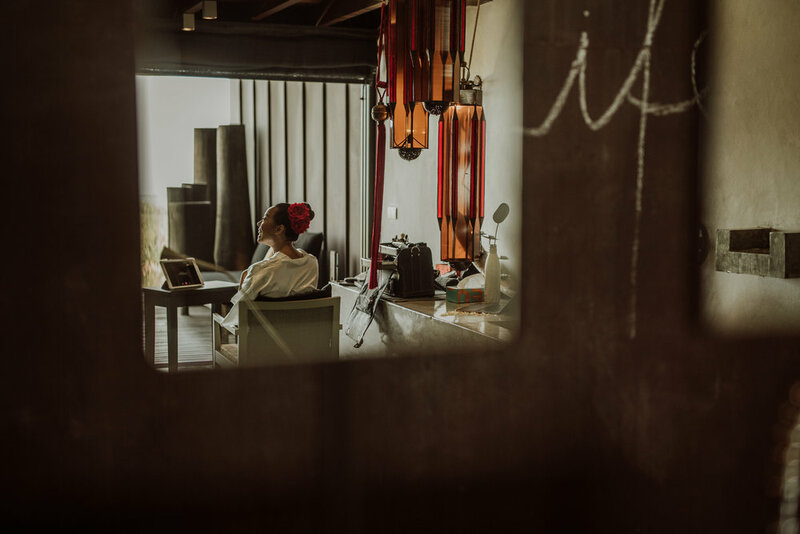 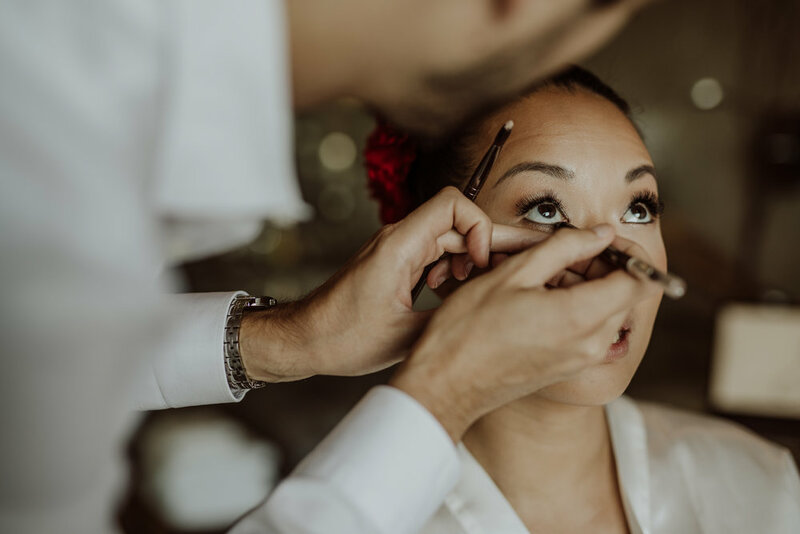 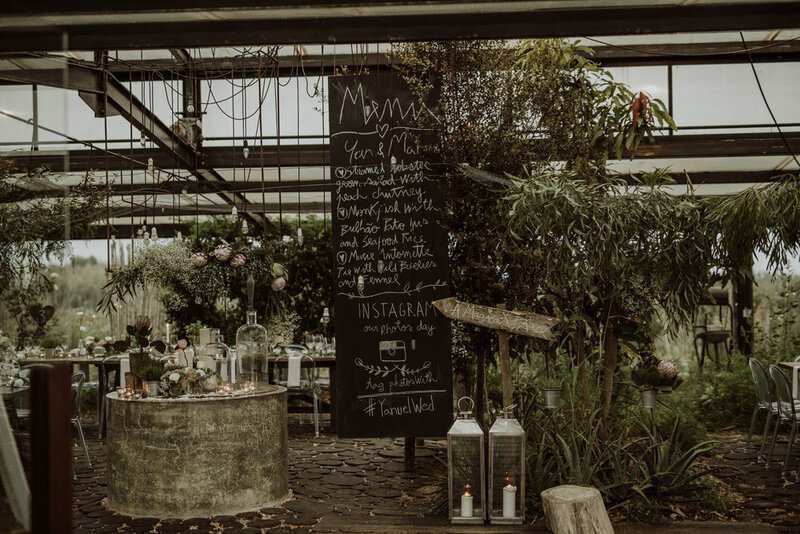 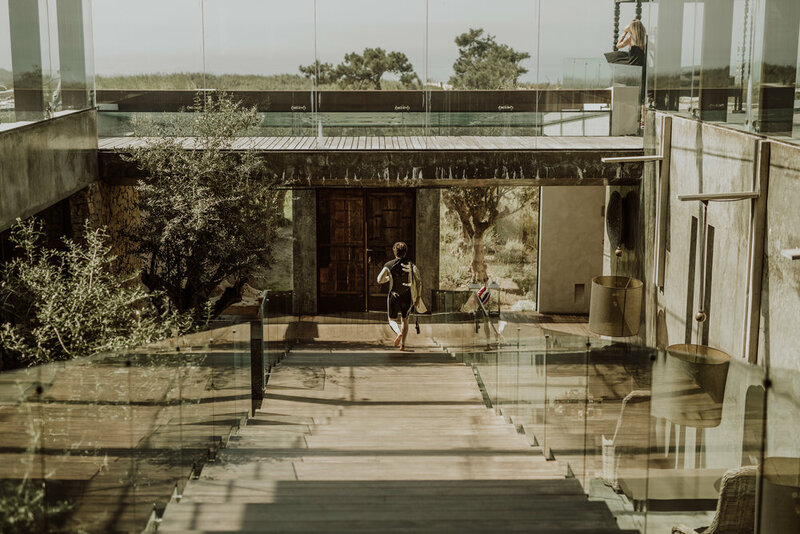 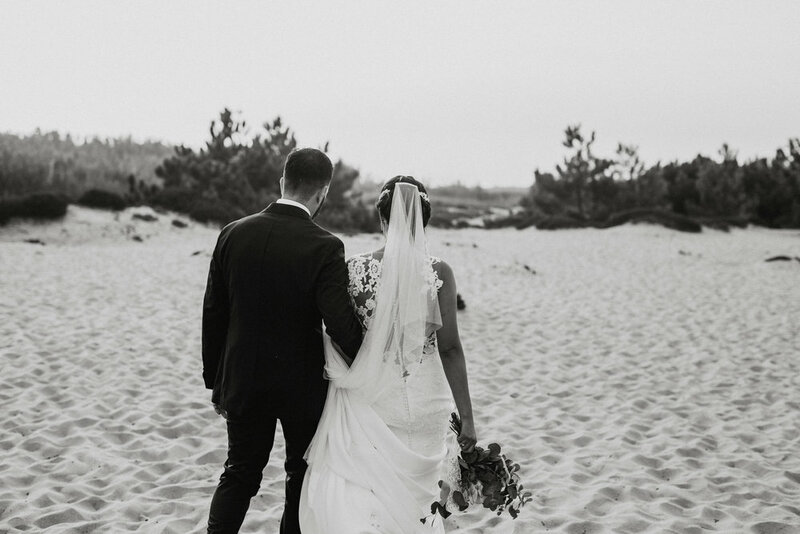 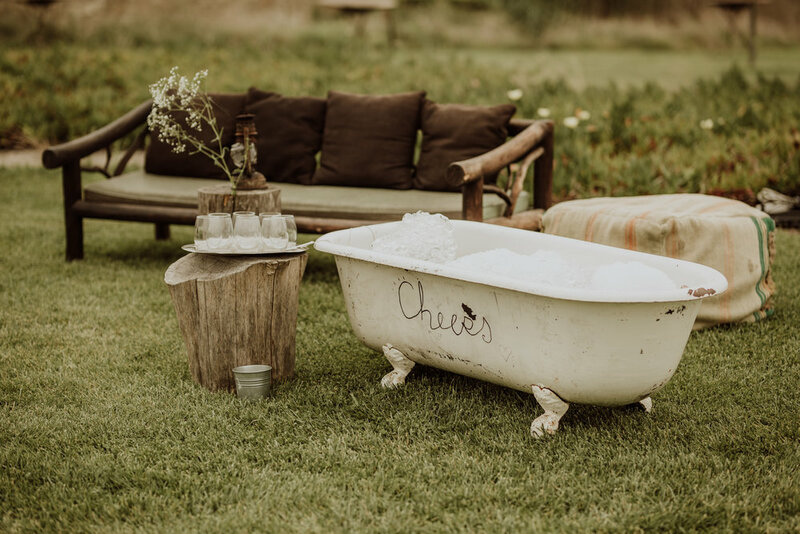 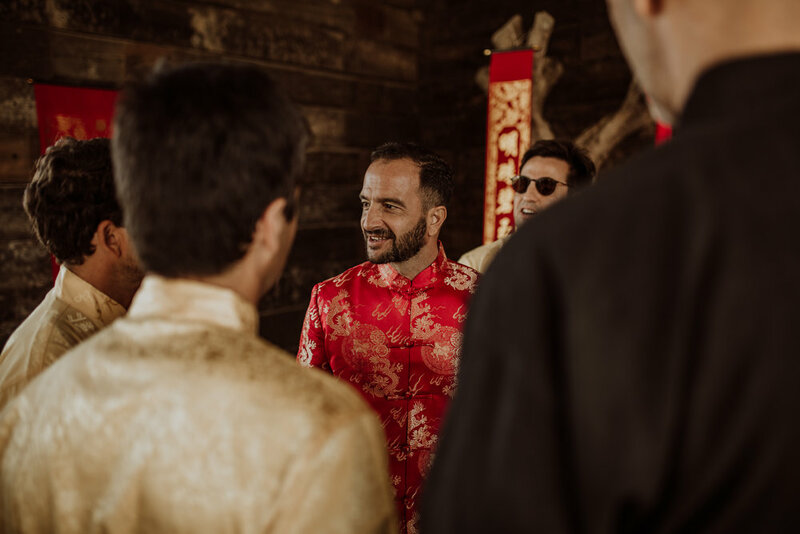 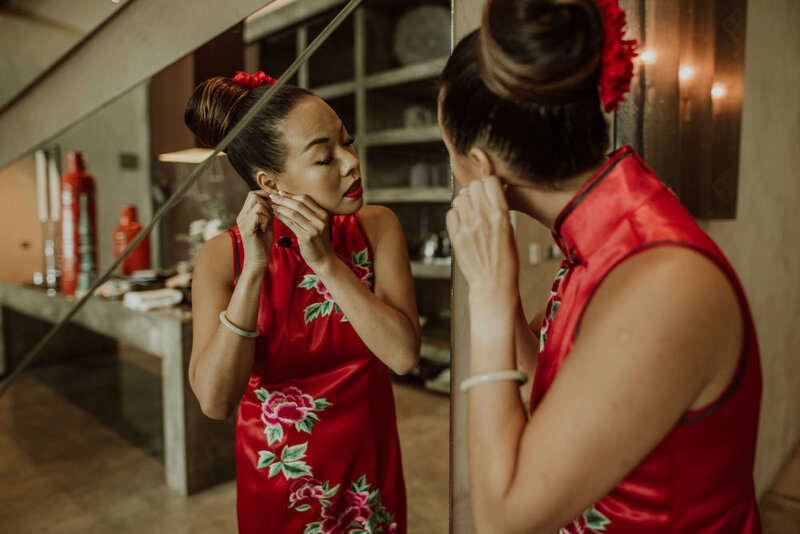 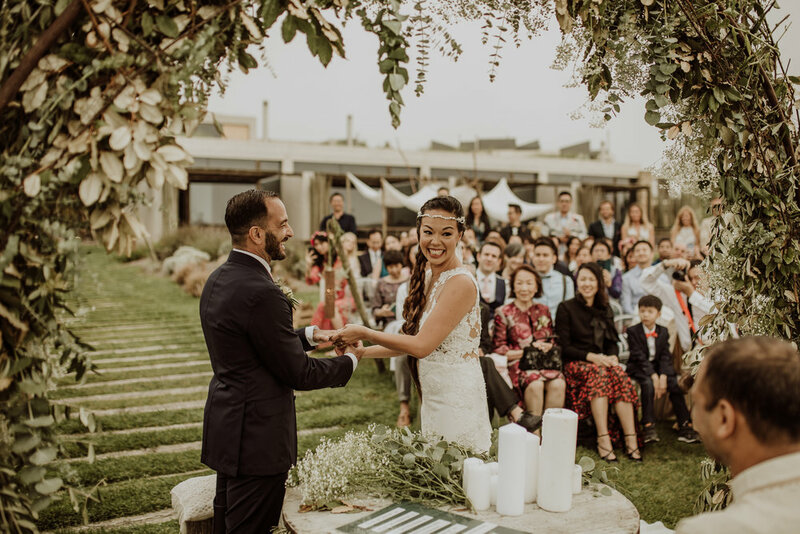 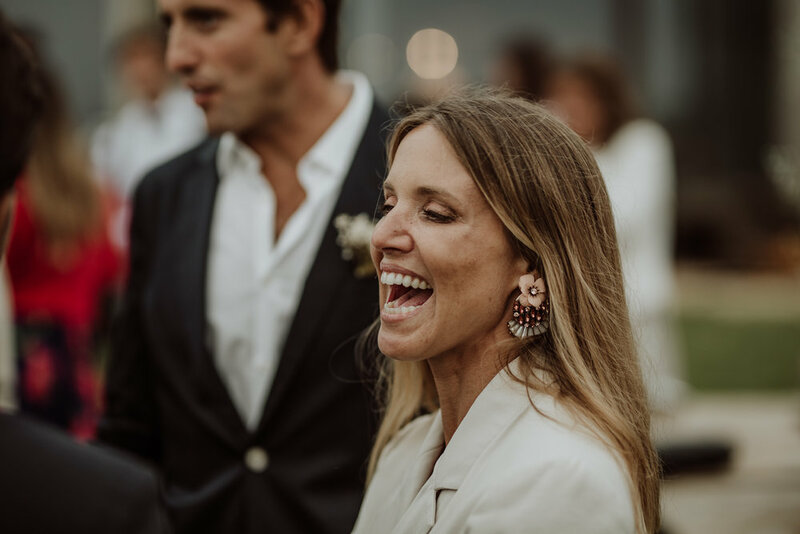 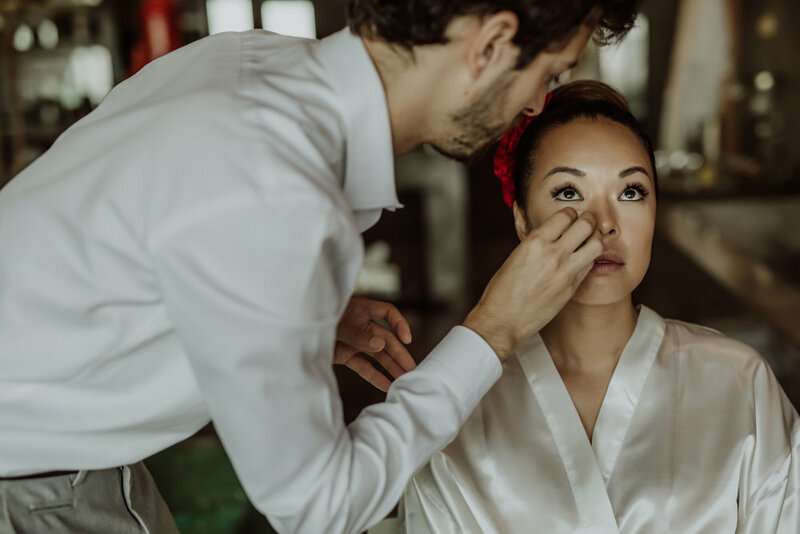 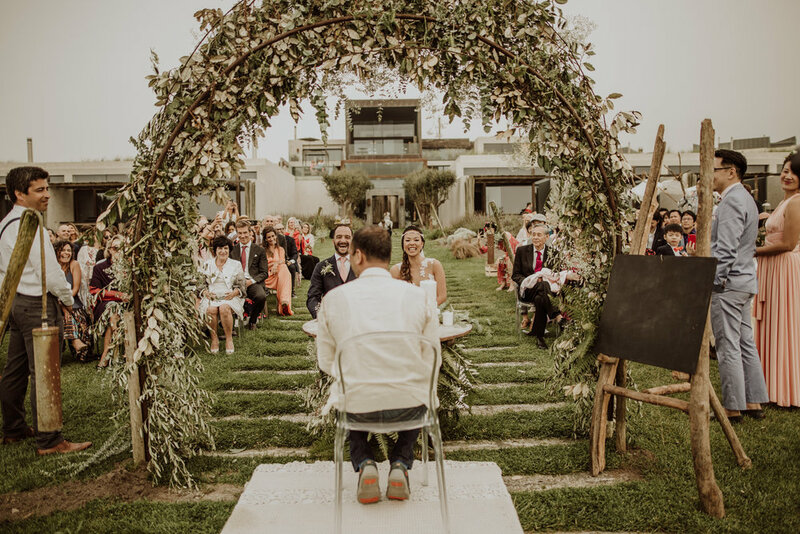 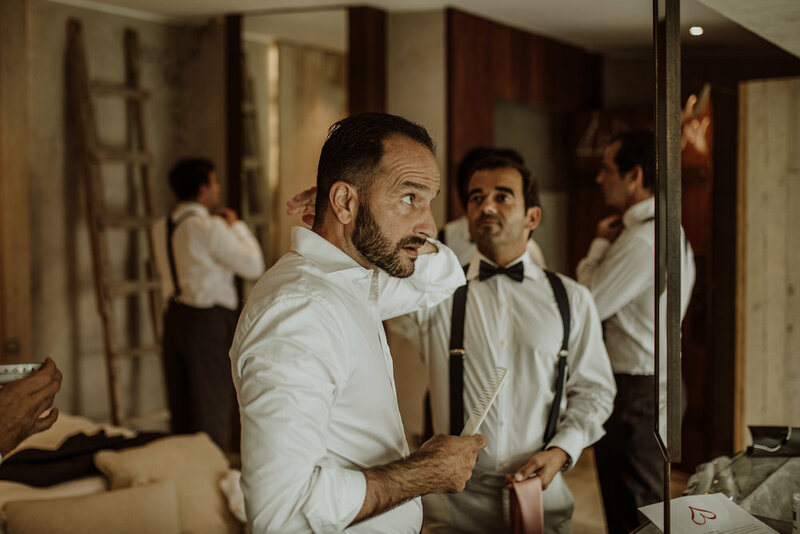 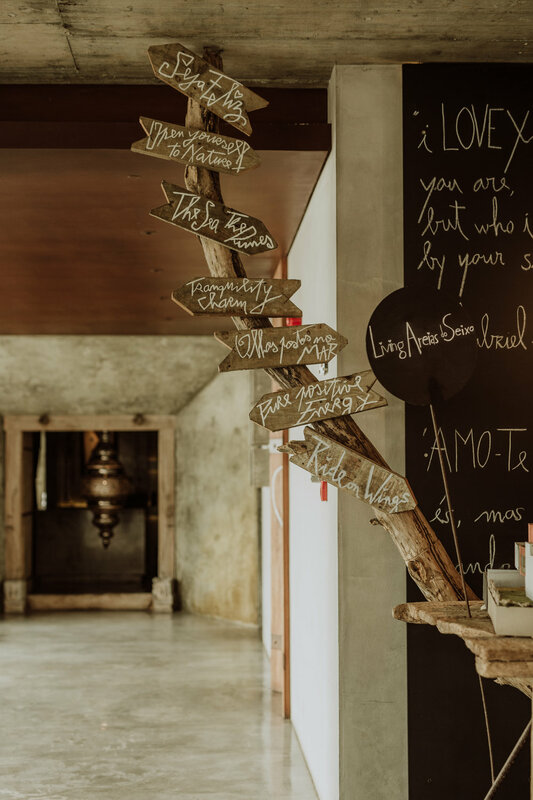 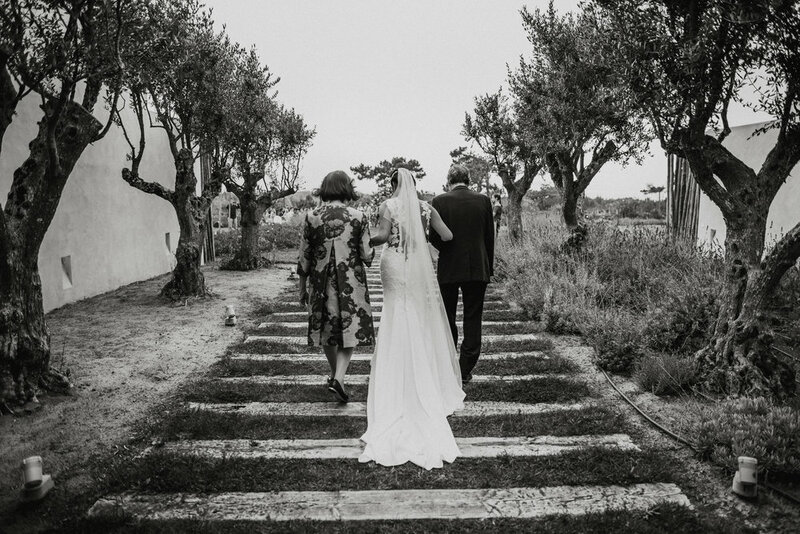 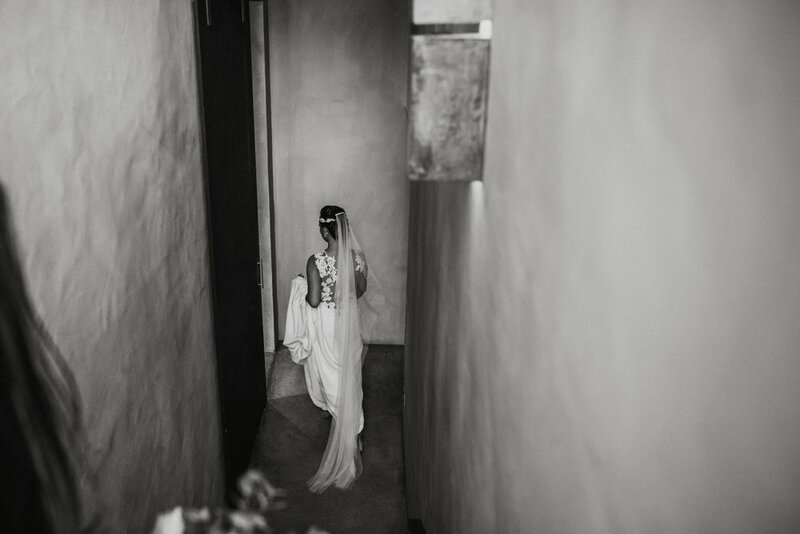 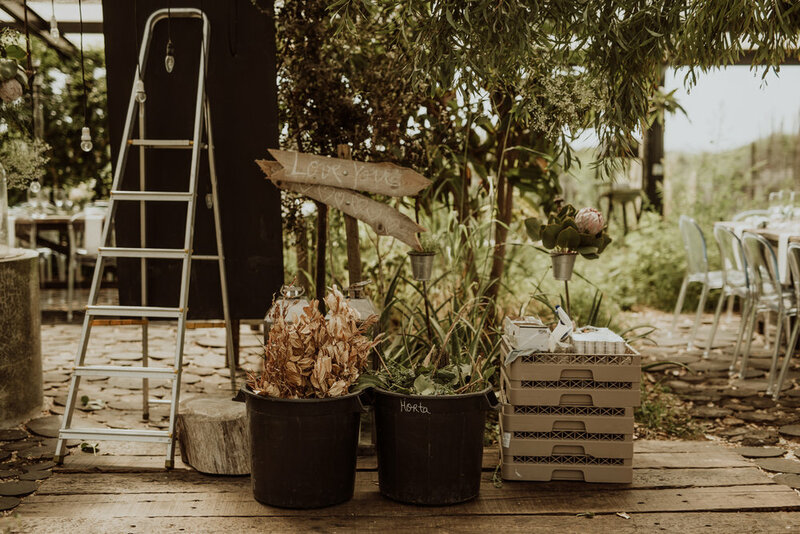 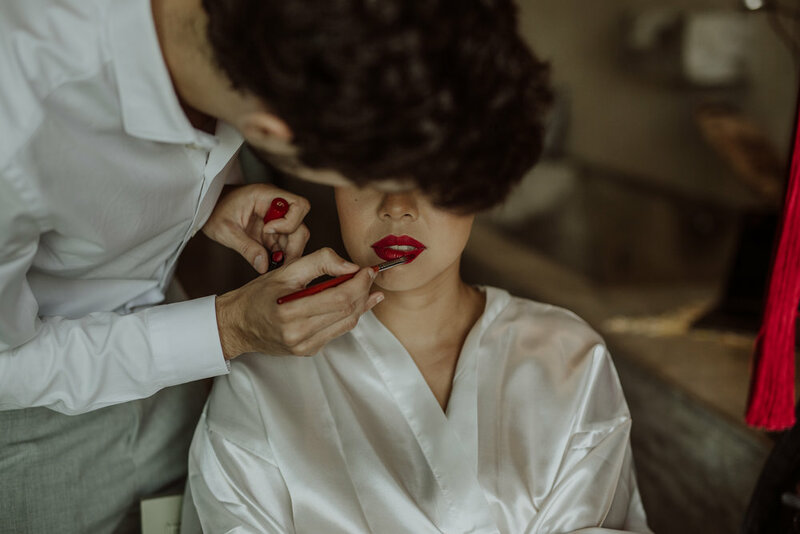 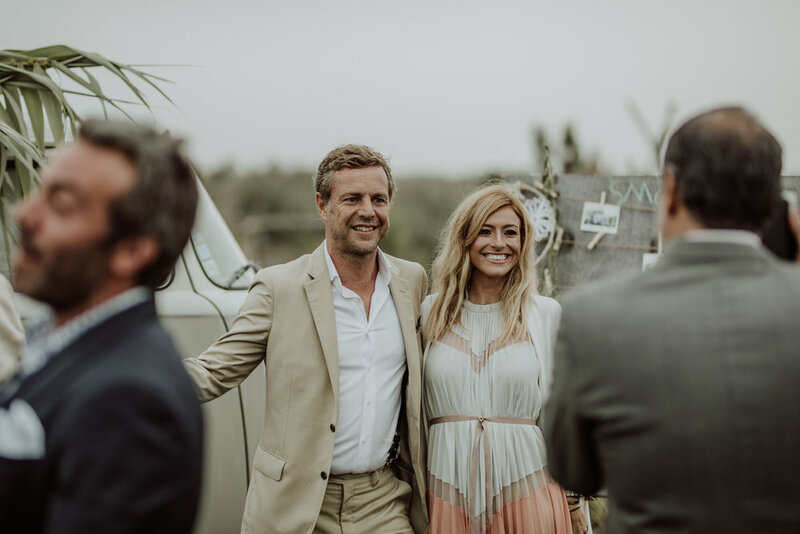 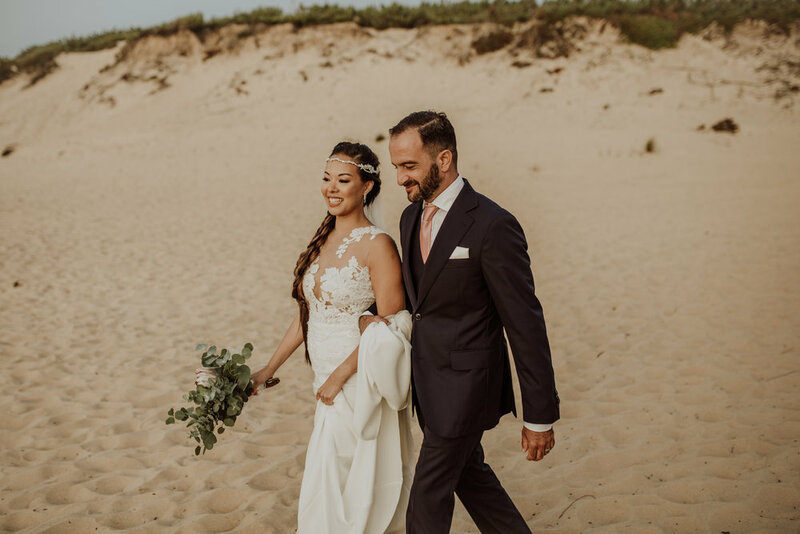 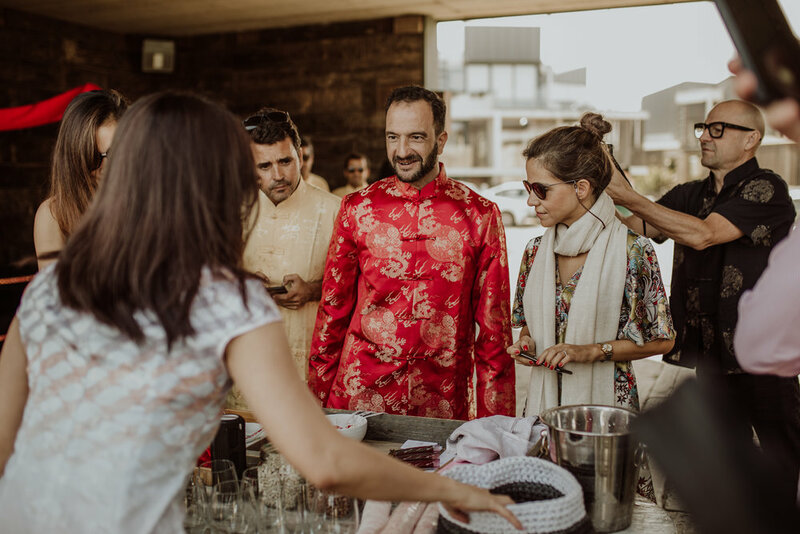 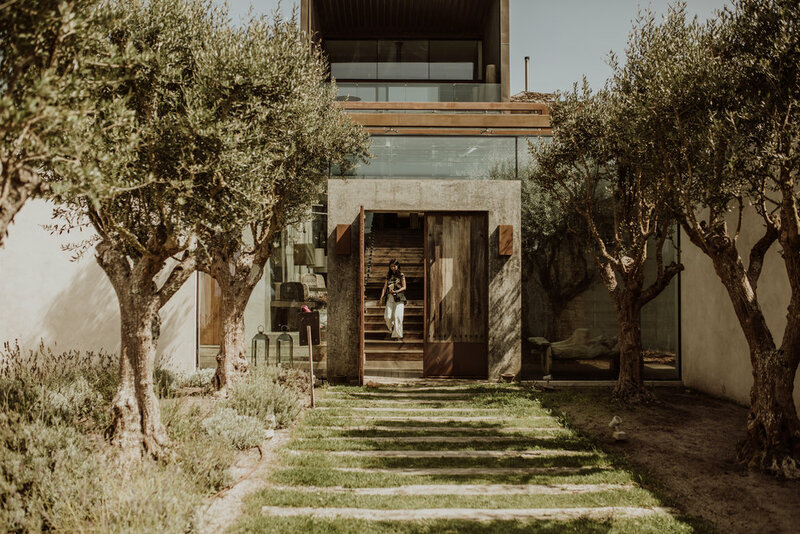 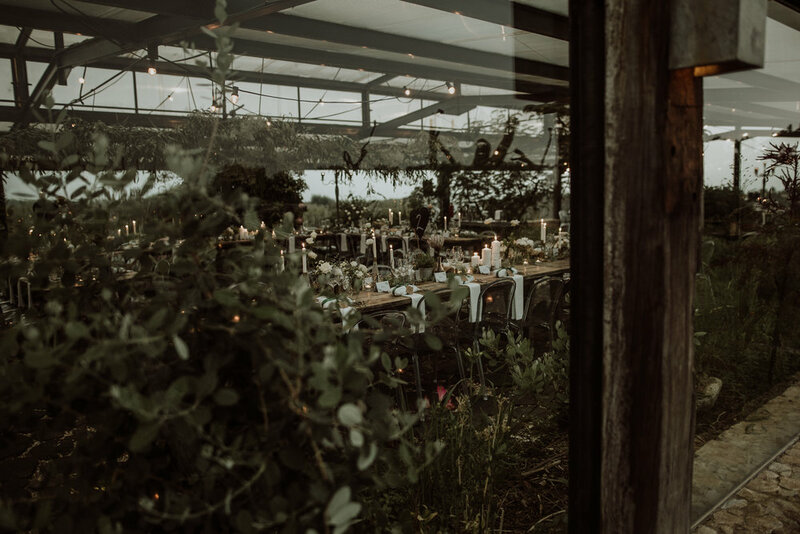 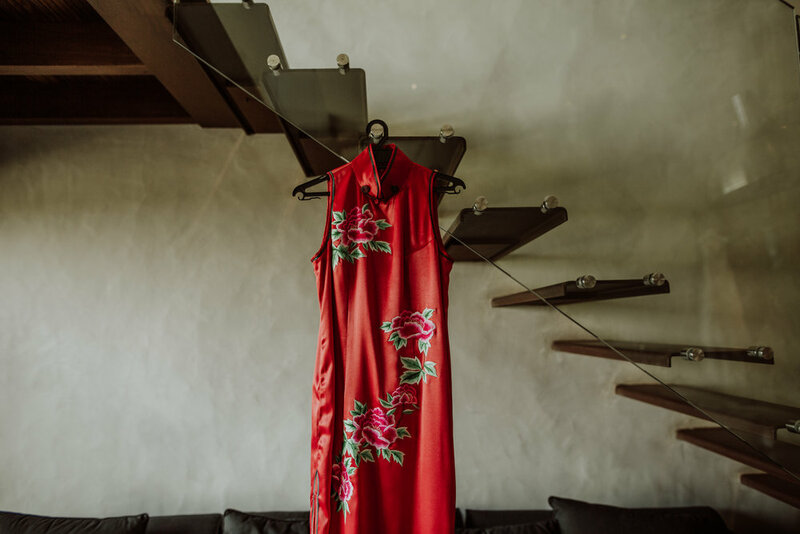 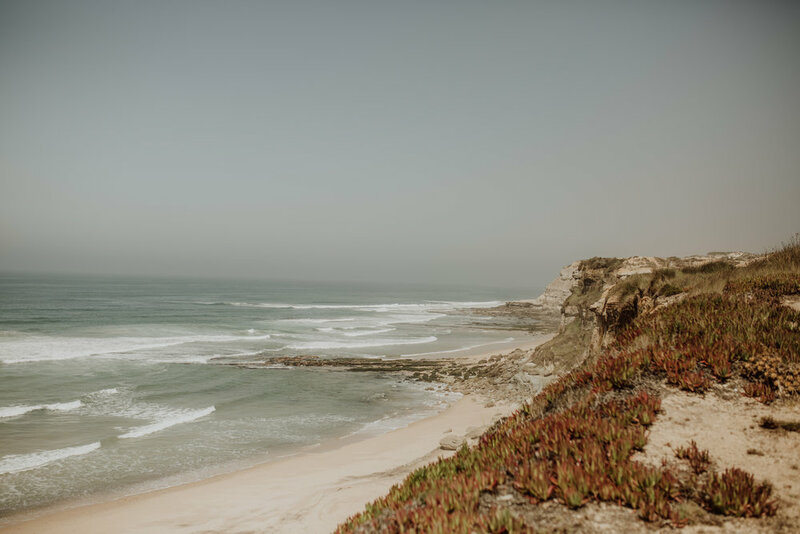 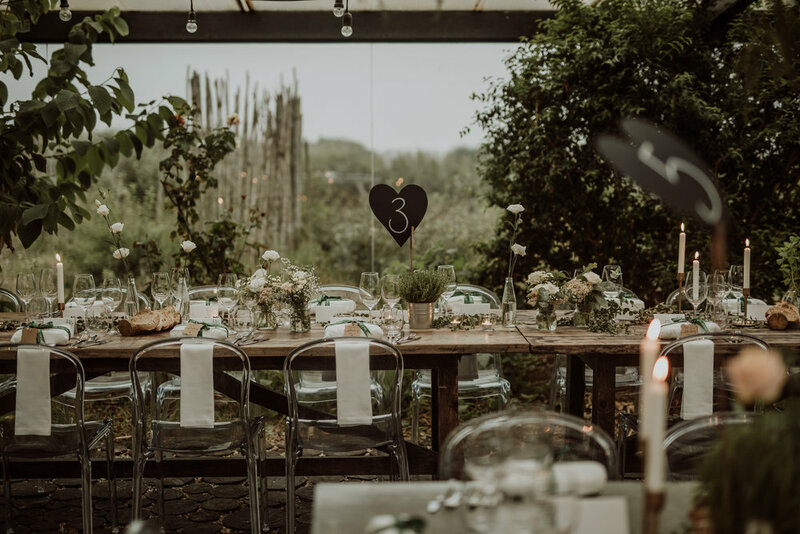 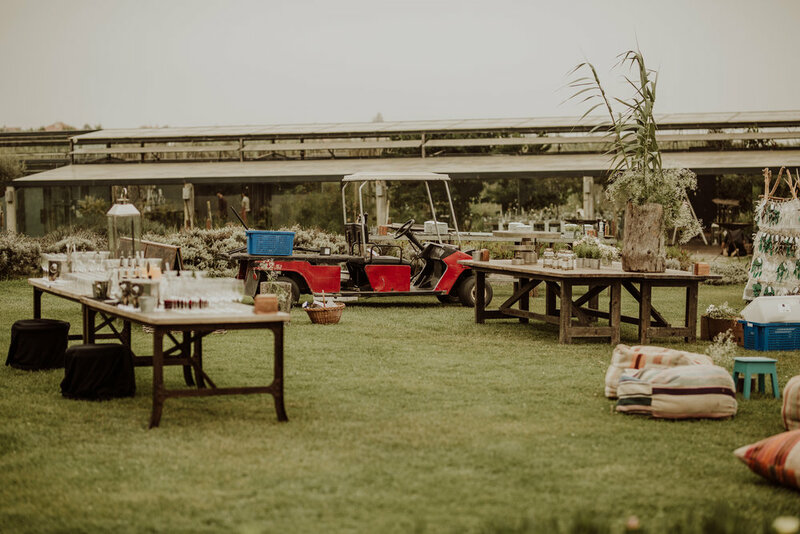 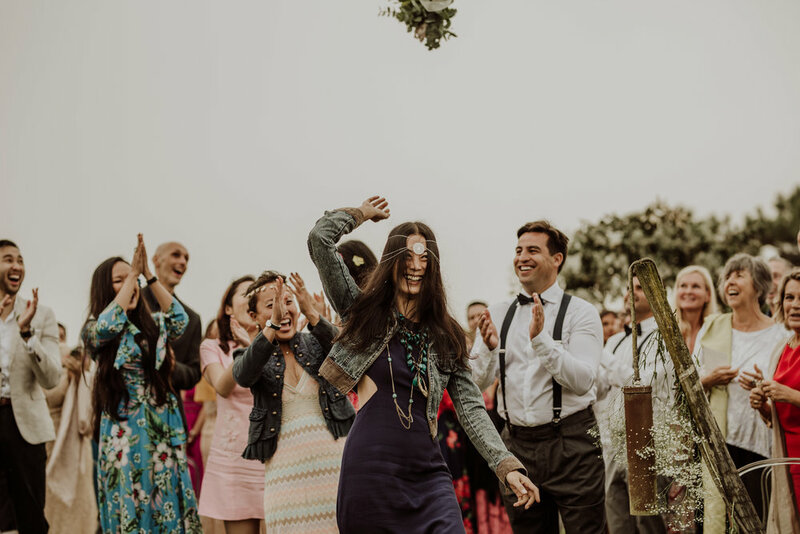 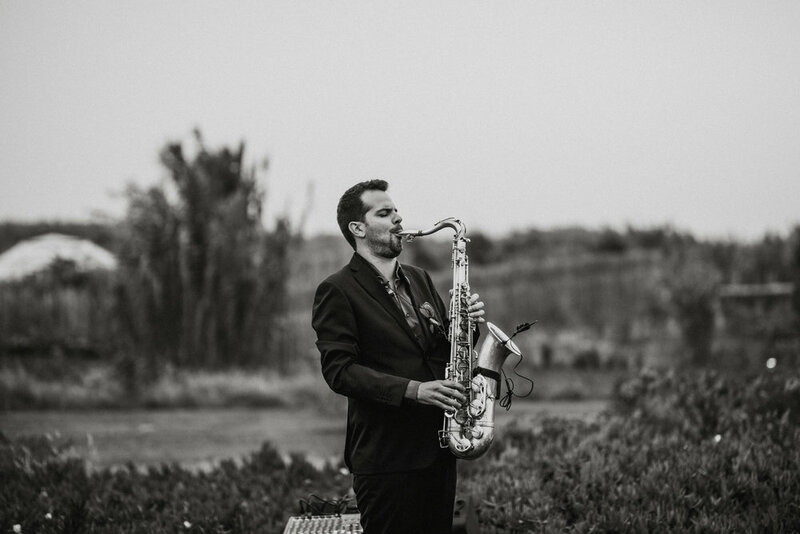 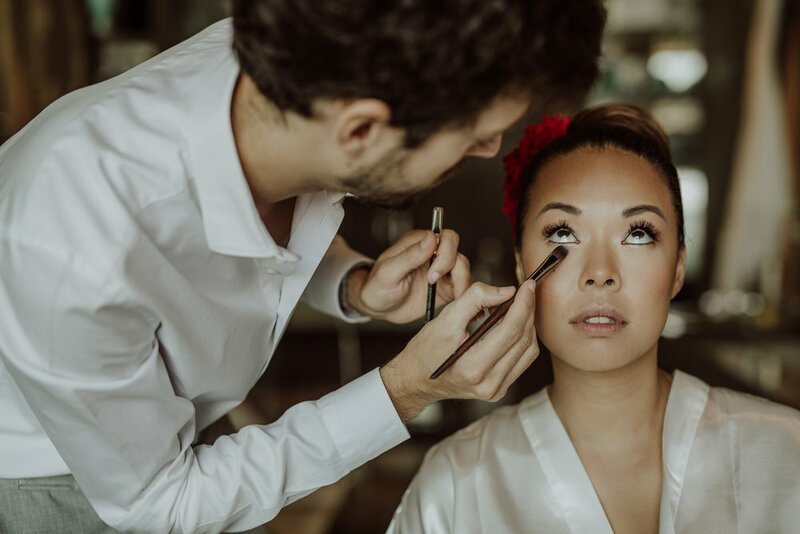 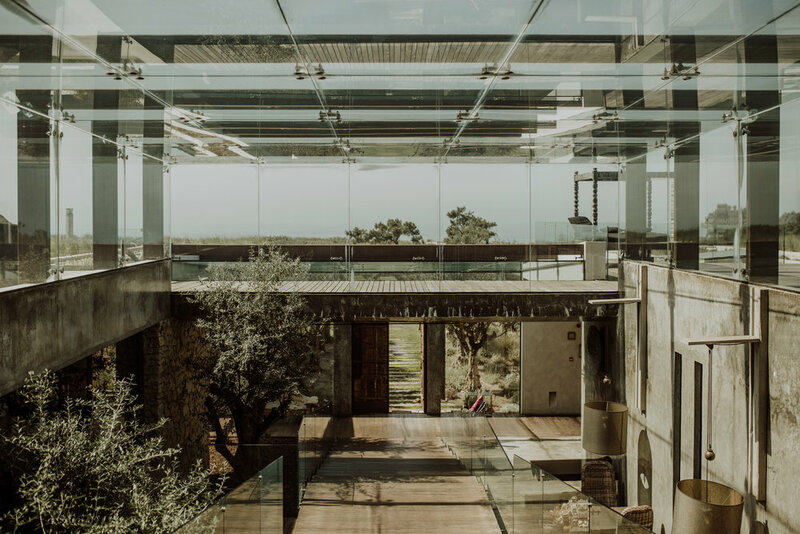 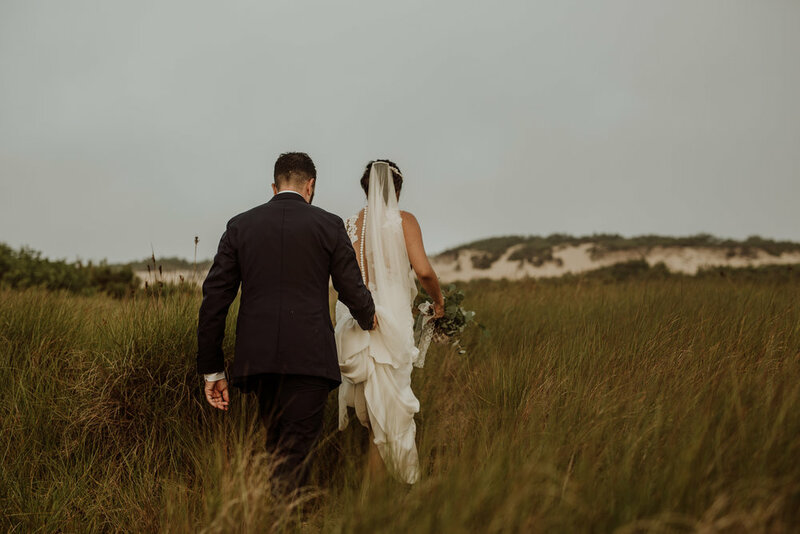 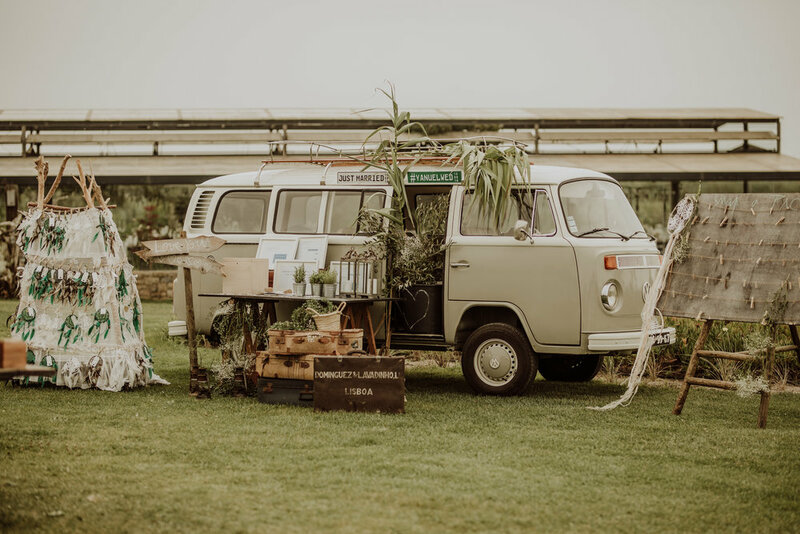 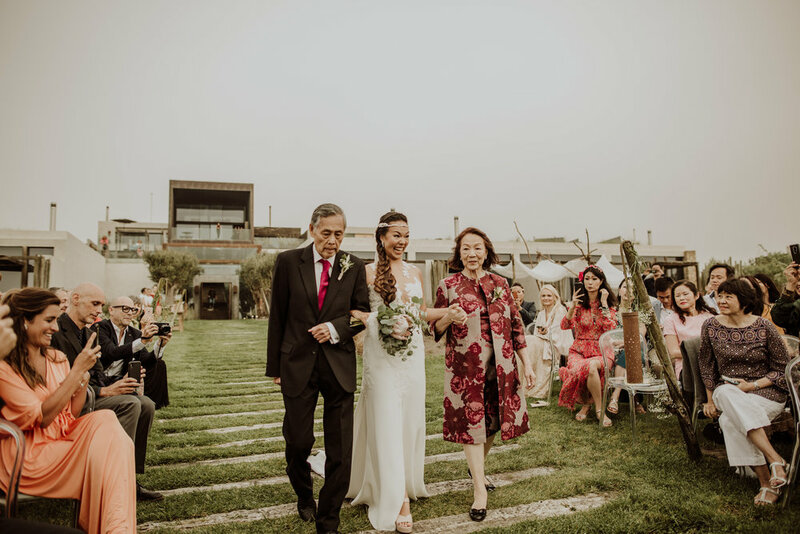 Yan and Manuel, both yoga teachers and travel lovers, could not have chosen a better wedding destination than Hotel Areias do Seixo. 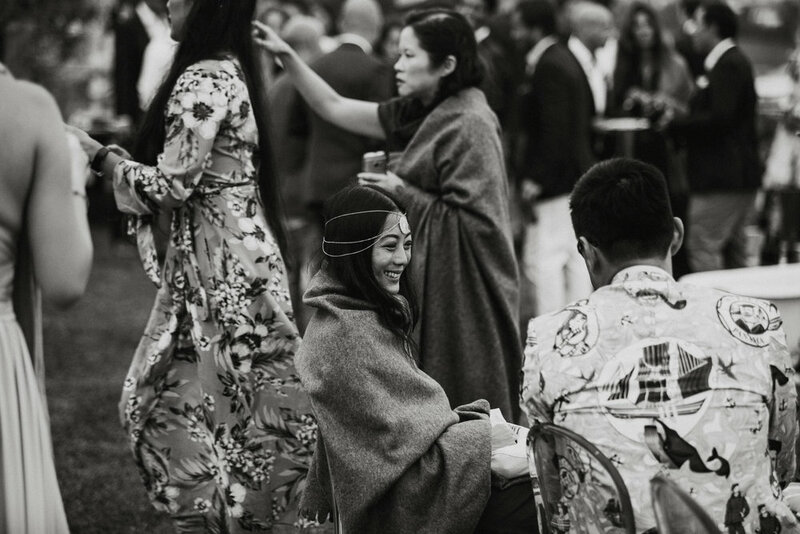 The serenity of space matched with their personality perfectly. 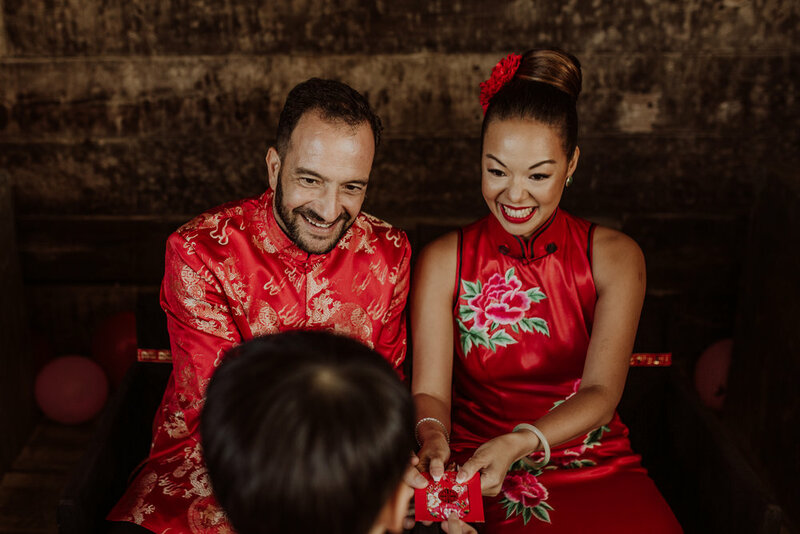 The wedding day was divided into two ceremonies. 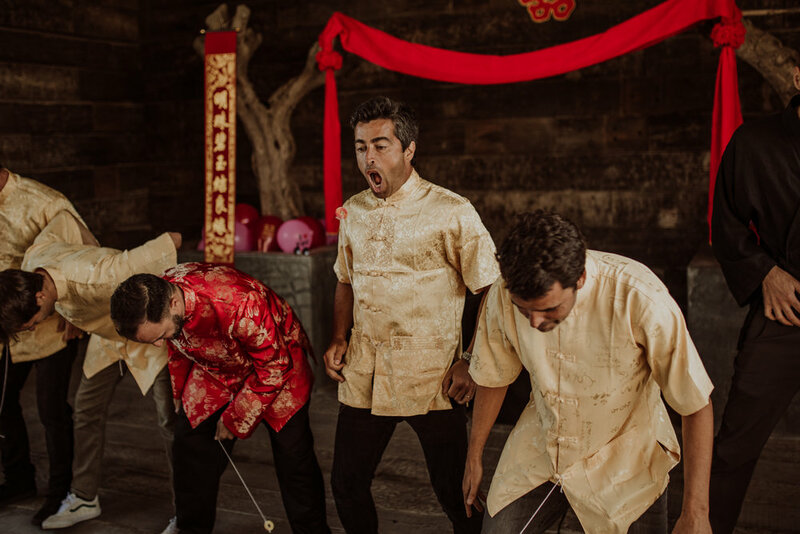 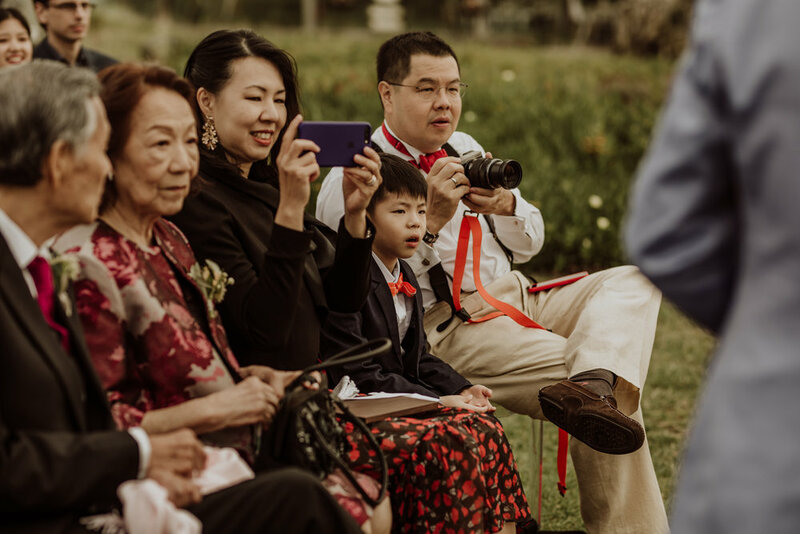 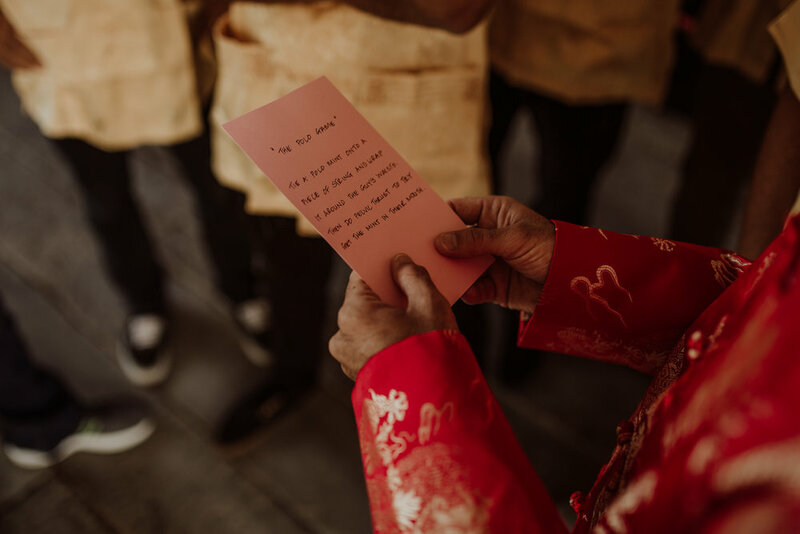 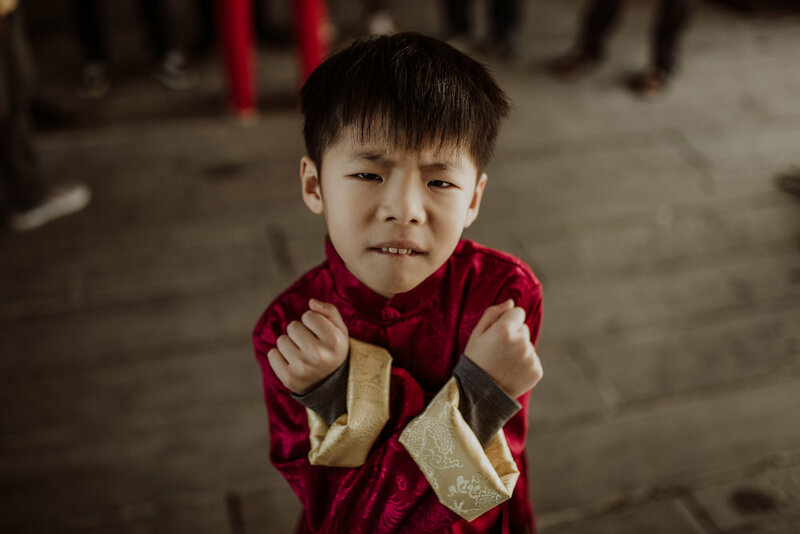 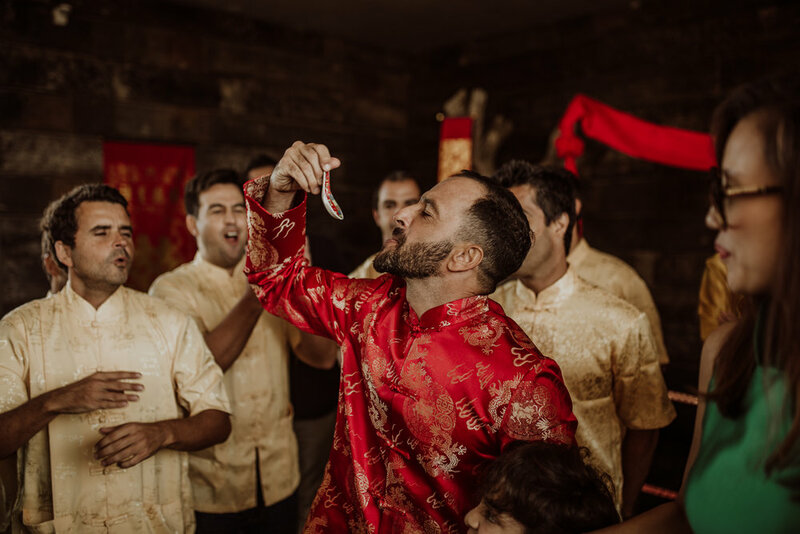 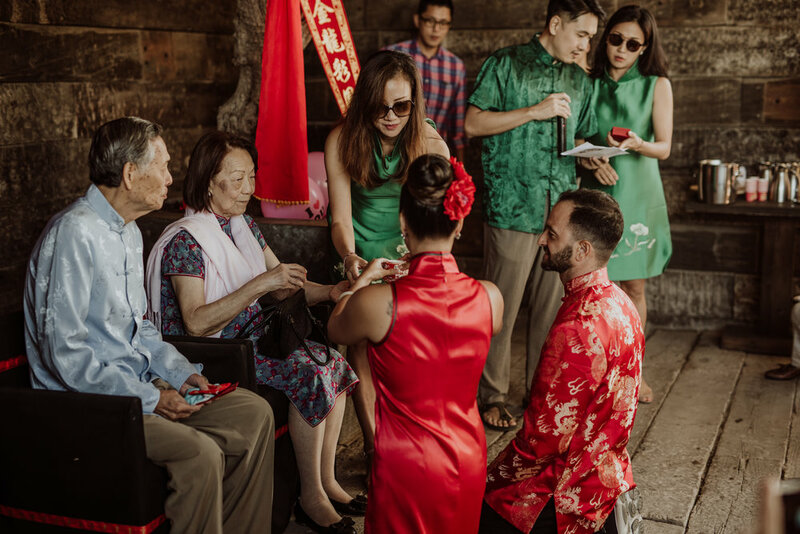 The Chinese ceremony in the morning, followed by the ocidental ceremony in the late afternoon. 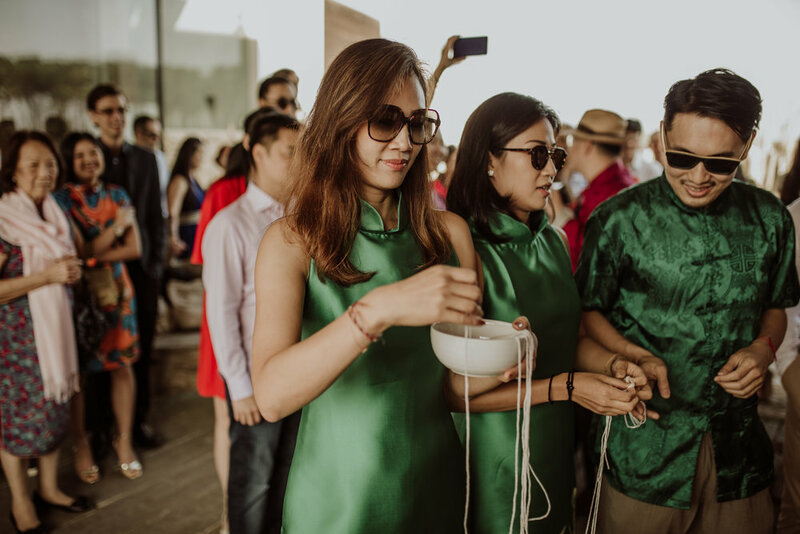 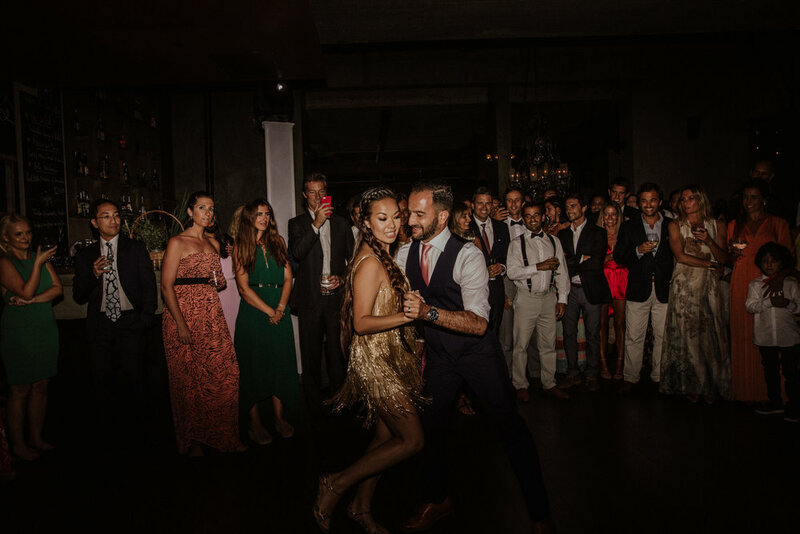 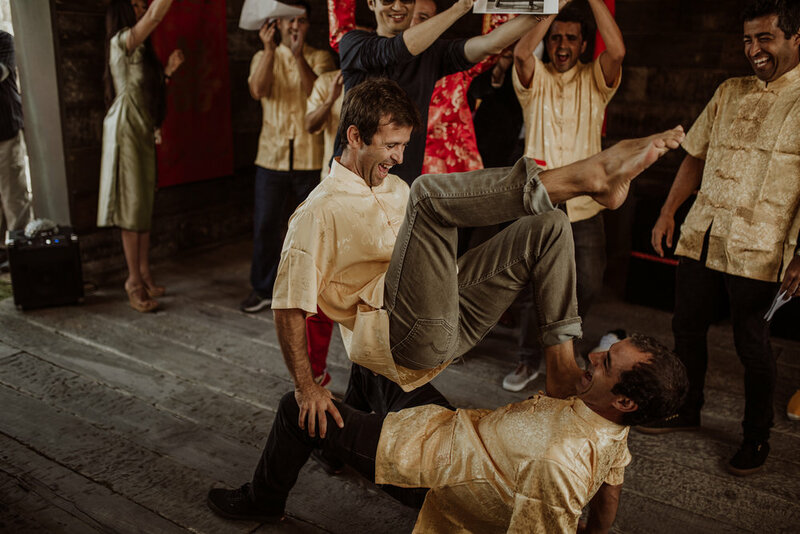 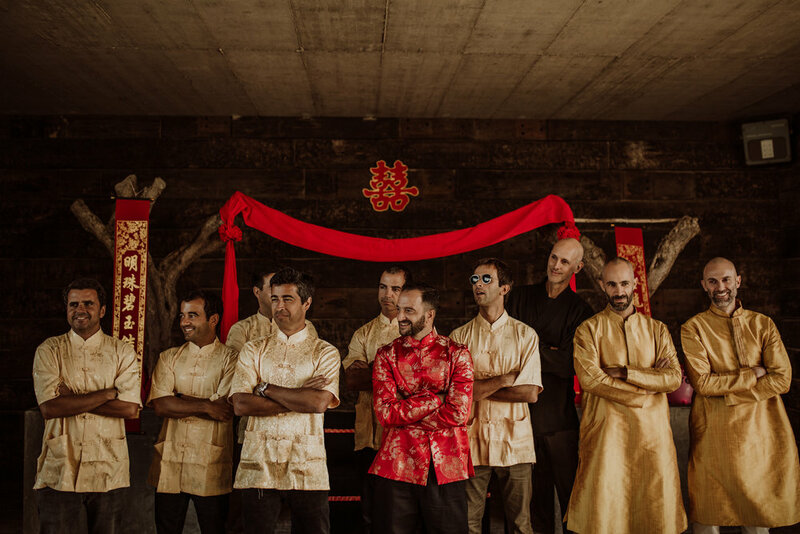 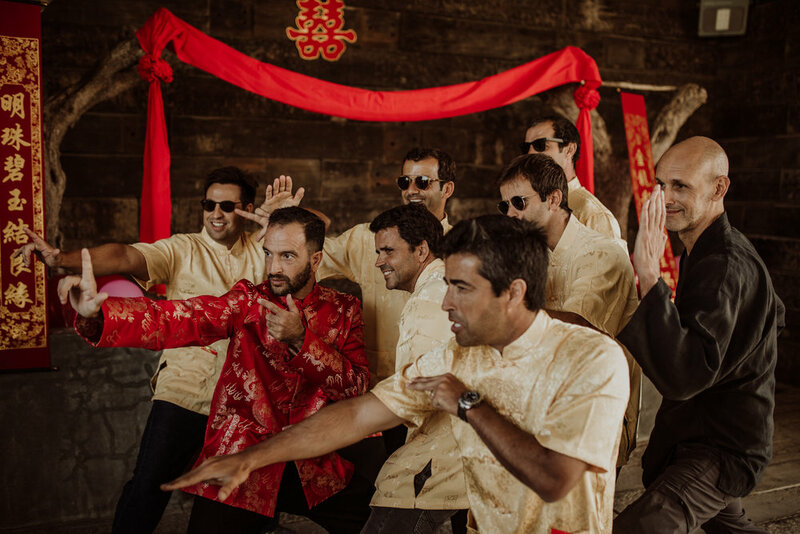 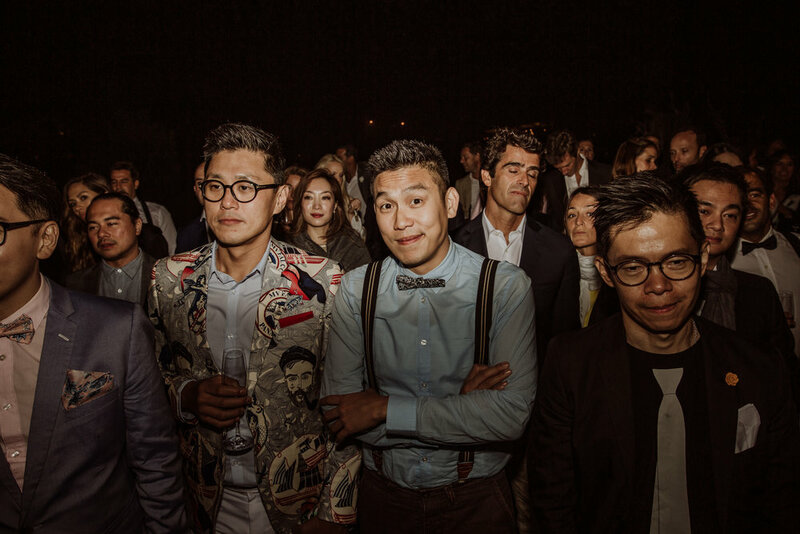 It was a wedding rich in cultural diversity, with a good dose of chill out and a lot of fun. 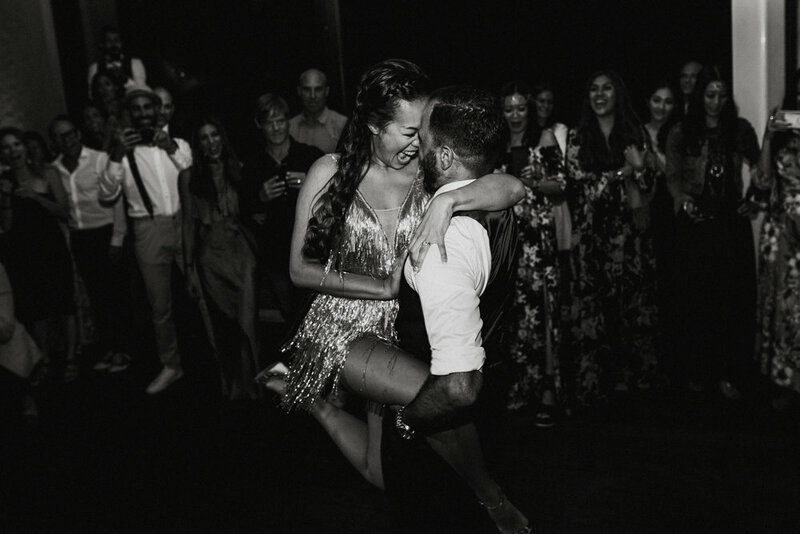 The icing on the cake was undoubtedly the tango danced by Yan and Manuel at the end of the night. 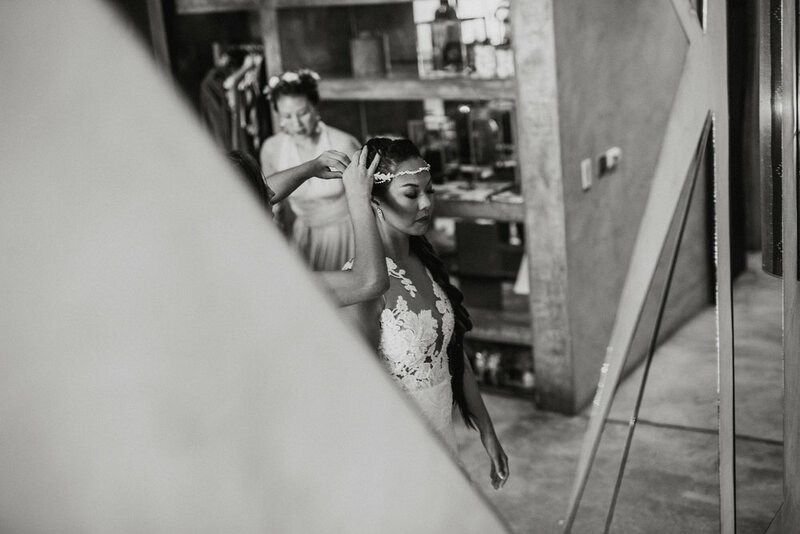 “ We have recently received our photos from The Brave Native and couldn't be happier. 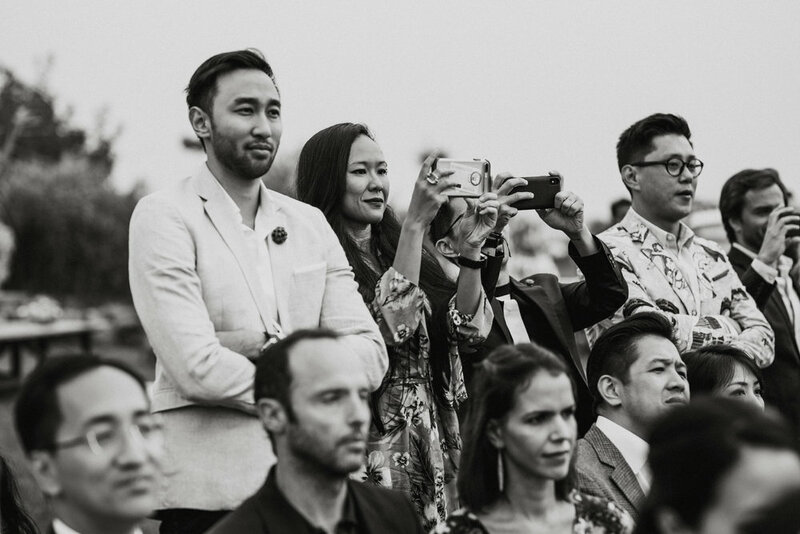 We look them over and over again, the collection of photos reported the entire event so well from every angle at every moment we would never have seen without them. 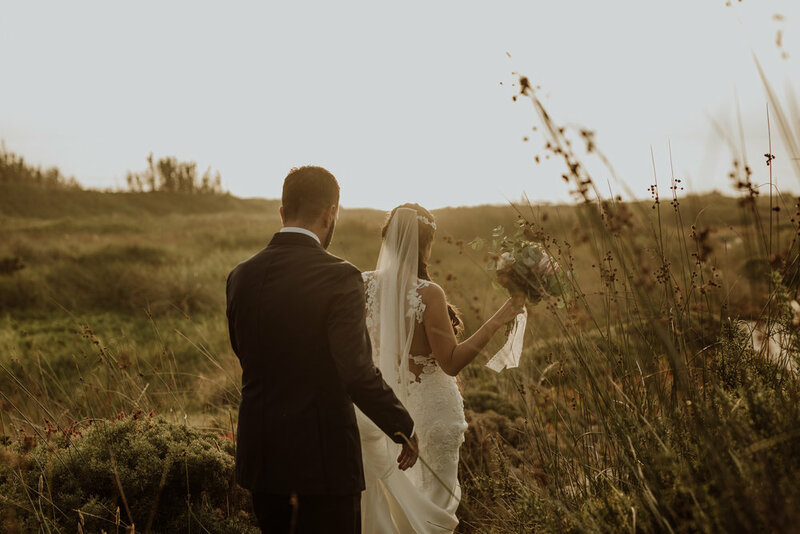 Their incredible imagination produced artistic photos with an amazing composition, capturing exceptional moments though rout the day. 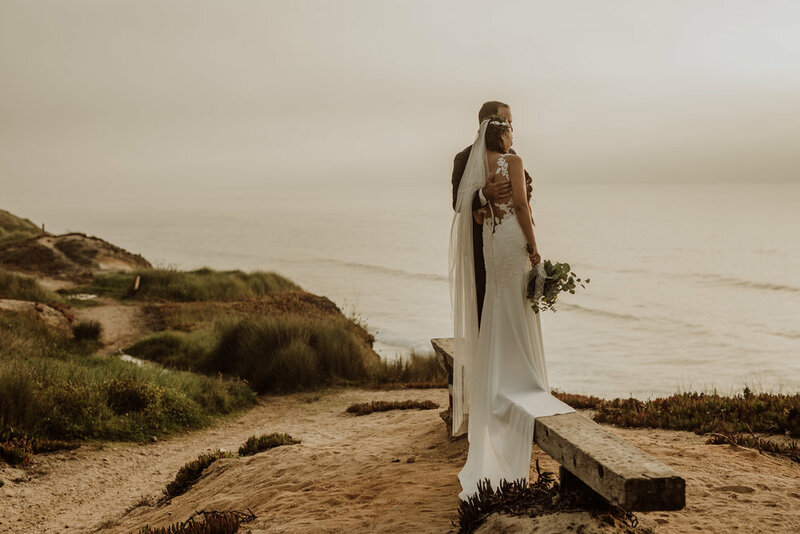 When we first saw their portfolio we were sure they would be out of our budget as they photos were all very high end, and were surprised at how affordable they were. 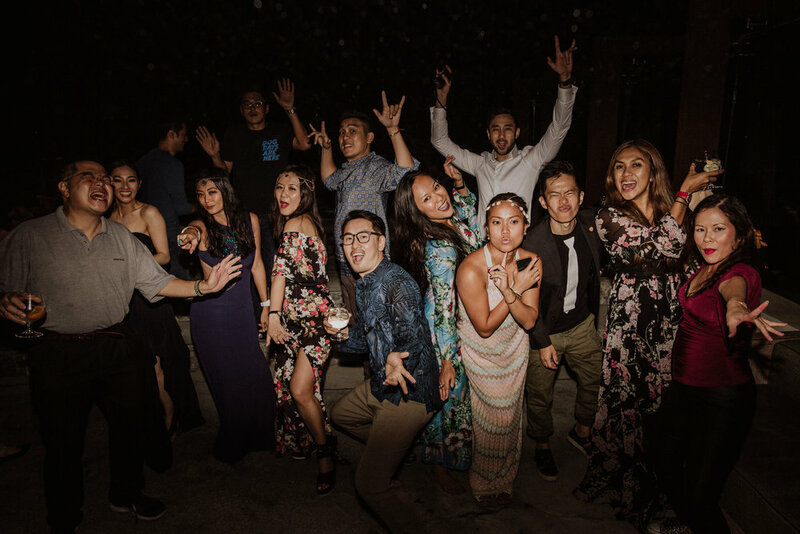 They are a great value for money as we got a ton of great and useable photos. 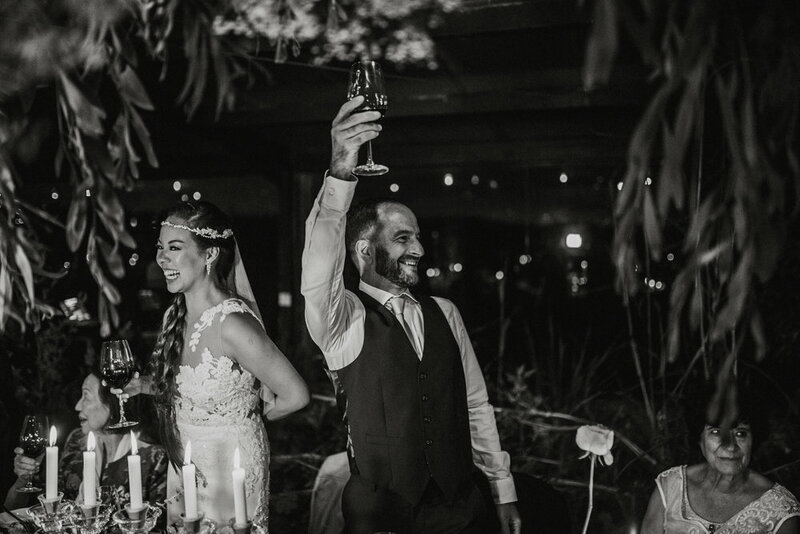 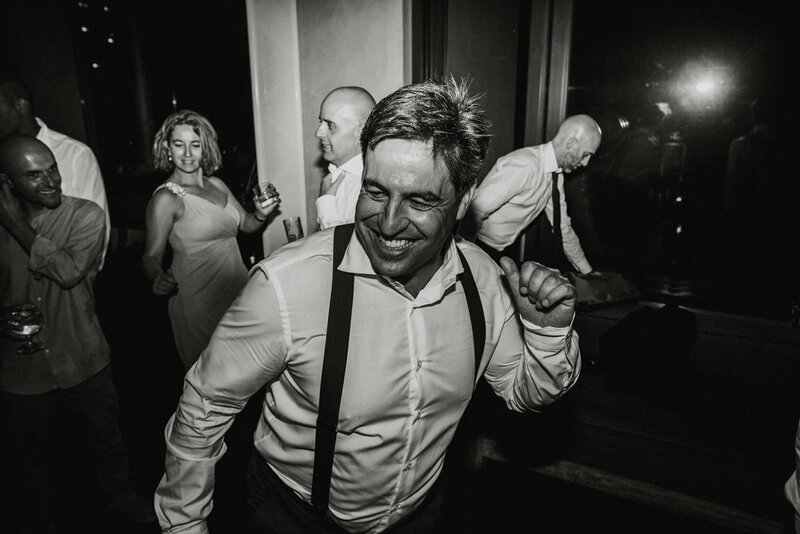 We are extremely pleased with our choice of The Brave Native as our wedding photographers and would recommend then to everyone! 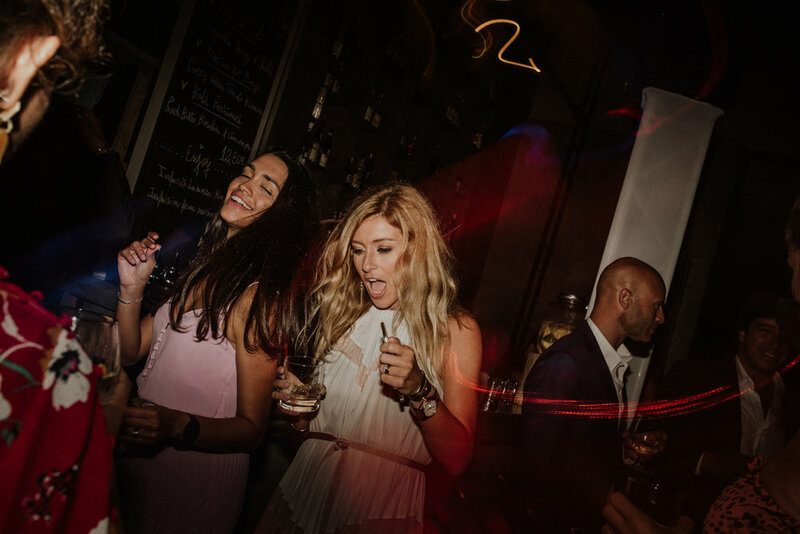 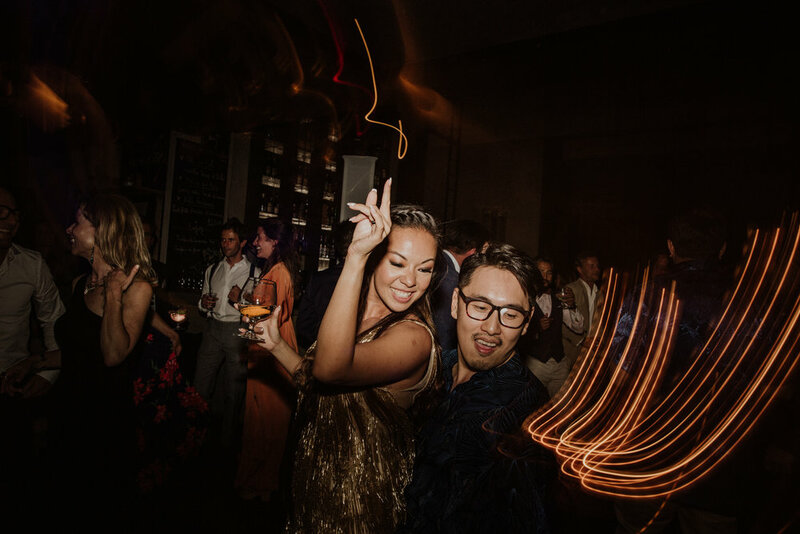 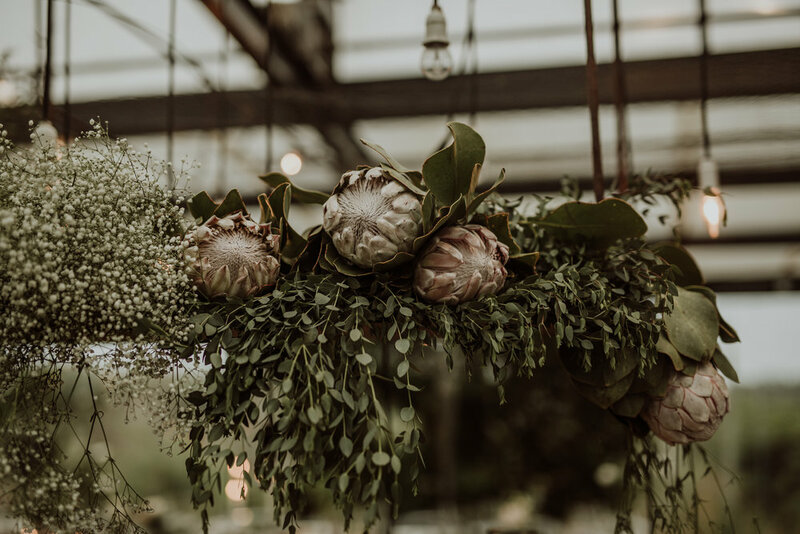 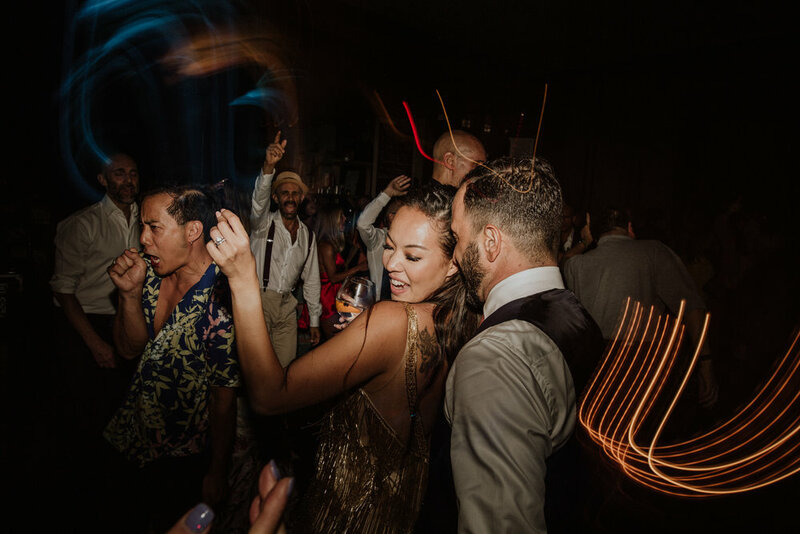 Especially if you have an eye for art, design and looking for something more than the standard boring stock wedding photos you see everywhere, like we were, definitely hire them. 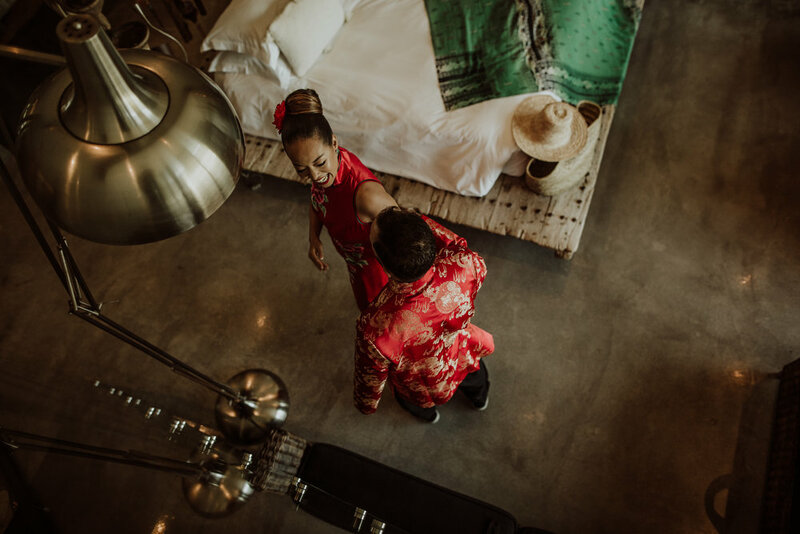 Rodrigo and Vânia are super sweet couple with a great energy to be around, and the photos from both of them were fantastic. 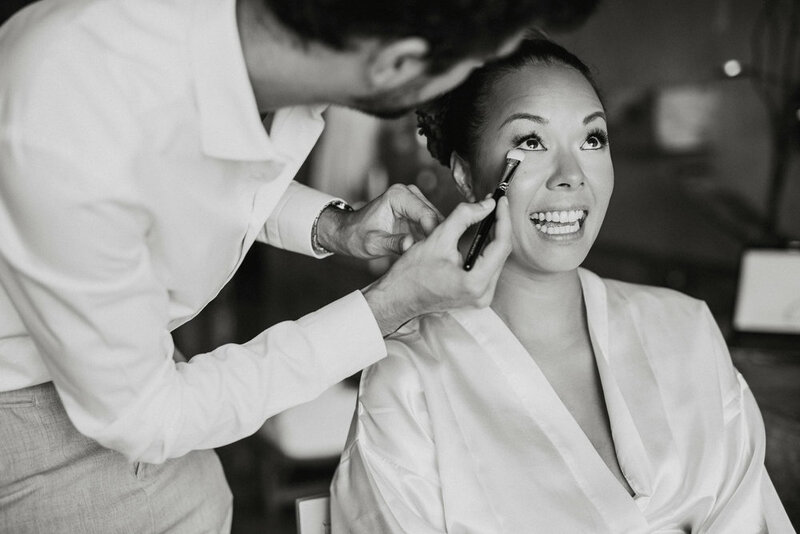 They were so easy to work with and deliver on time too, so you don't have to wait forever for your photos! 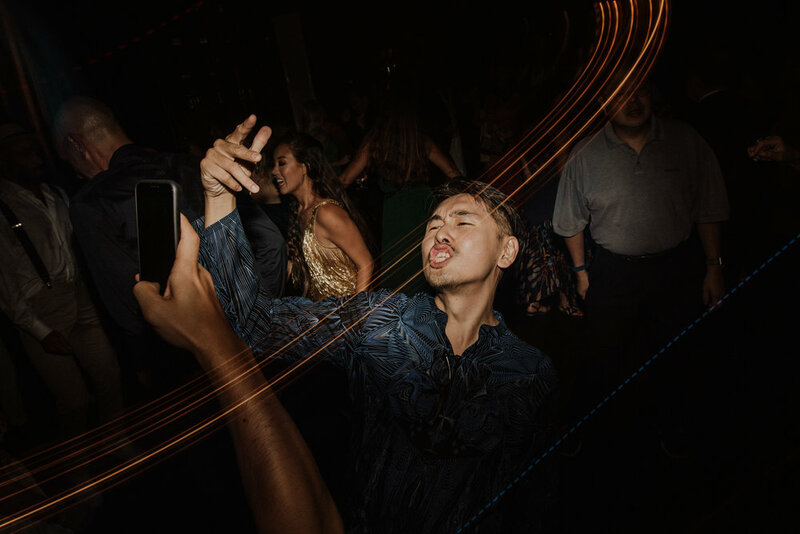 Thank you so much The Brave Native!